Marne Iwand: Marne has been instrumental in leading SO Nebraska’s FUNfitness program since 2009. Marne is a strong role model and has mentored future clinical director trainees to help sustain Healthy Athletes screenings in Nebraska. Marne works to ensure physical education classes at local schools are unified and students with intellectual and physical disabilities are able to participate alongside their peers. Marne’s non-profit, Mobility Equipment Restoration restores medical and sports equipment to modify it for people with disabilities. Passionate about fitness and participation for all, Marne champions for and volunteers with several community-based efforts that focus on ID. 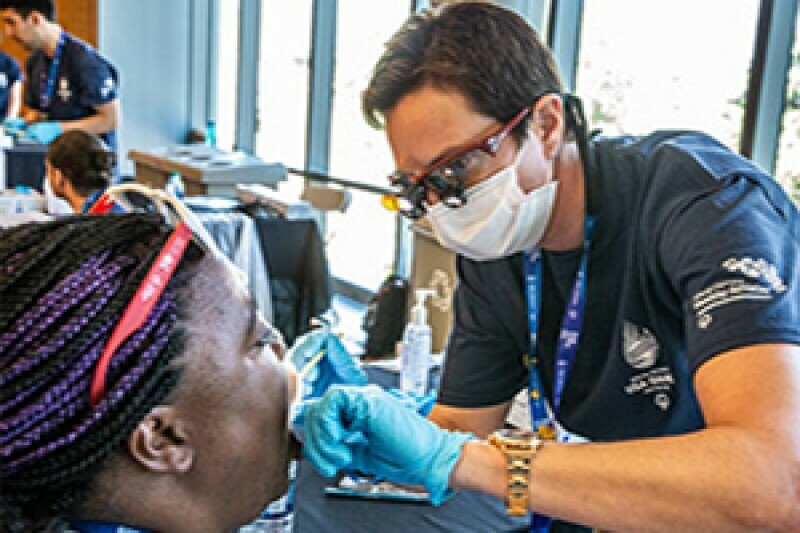 Aloha Medical Mission: Aloha Medical Mission, a non-profit organization, based in Hawaii offers free treatment to Special Olympics athletes found to have dental needs after participating in a Special Smiles or MedFest screening. Treatment has included examinations, cleanings, and restorations. Special Olympics Hawaii relies on Aloha Medical Mission as an organization they can refer athletes to that need a place for ongoing dental maintenance and care. Aloha Medical Mission ensures that Special Olympics athletes are automatically eligible as low-income patients, removing the proof of income barrier that can prohibits athletes seeking treatment. Staff have also provided dental education at Hawaii’s Health and Wellness Leadership Conference. Project Vision Hawai’I: Project Vision Hawai’I offers free eye games and prescriptions to athletes attending Opening Eyes at Healthy Athletes events. With a mobile “Vision Bus” Project Vision is able to reach athletes even in the most remote areas. Athletes now have a place to go to receive eye screenings and receive glasses, if needed. 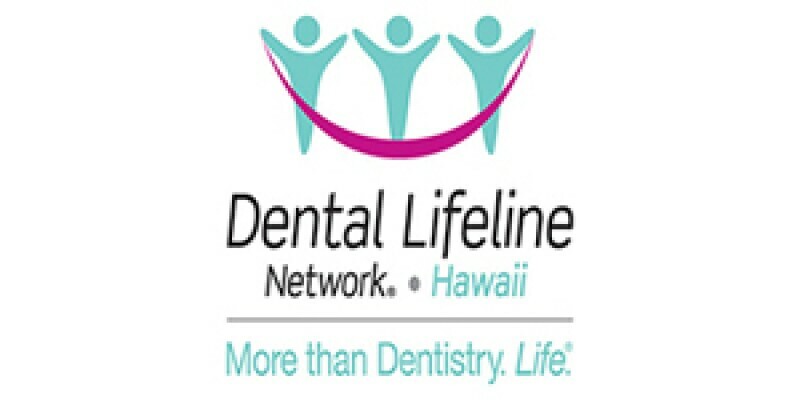 Dental Lifeline Network: Dental Lifeline Network provides free dental care to Special Olympics Hawaii athletes who have urgent dental needs. Several athletes have had the opportunity to receive dental treatment beyond what was allowed per Medicaid and/or financial limitations. Athletes are treated by participating dentists and specialists. Athletes who were resistant to dental treatments from fear are now healthy and seeking regular maintenance care. Dr. Nadine Furtado: Dr. Nadine Furtado is an Assistant Clinical Professor at the University of Waterloo School of Optometry and Vision Science where she is Head of the Ocular Disease and Imaging Service. She earned her Doctor of Optometry and MSc. in Vision Science from the State University of New York (SUNY) College of Optometry, and then completed a residency in Ocular Disease and Primary Care at the VA Hudson Valley Healthcare System. 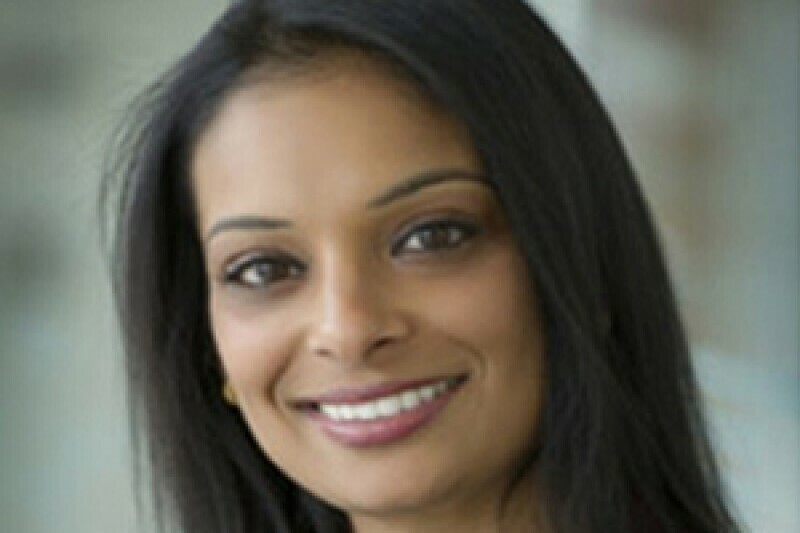 Dr. Furtado is a Fellow of the American Academy of Optometry, a Clinical Director for Special Olympics Ontario, and a member of the Board of Directors of the Vision Institute of Canada. She also has an interest in global optometry and travels twice a year with the Eye Health Institute to provide eye care to underserved communities in Jamaica. 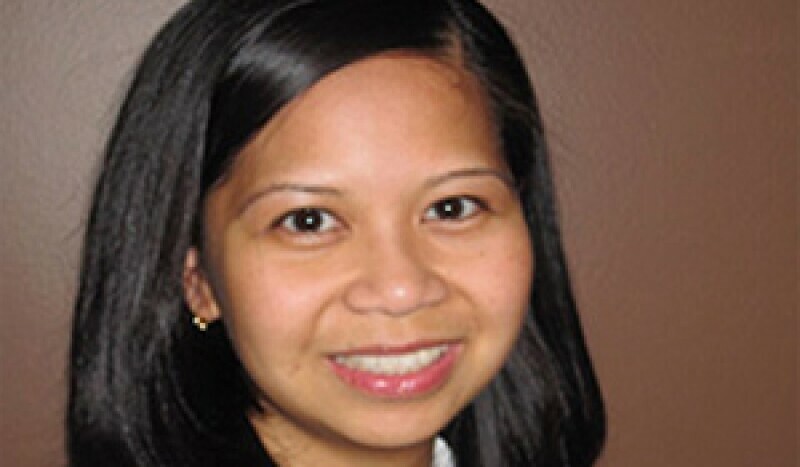 Dr. Melanie de Jesus: Dr. Melanie de Jesus attended the University of Waterloo and Illinois College of Optometry. She previously served as the National Clinical Director of the Special Olympics Lions Club Opening Eyes Program and has been involved with Special Olympics since 2002. Melanie is in private practice in Stouffville, Ontario and enjoys spending time with her husband and three boys. 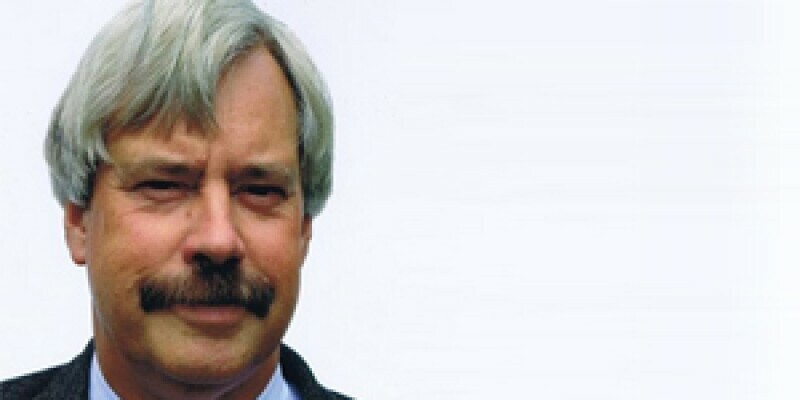 Thomas Weissberger: Tom Weissberger, a licensed optician for 35 years; is a former professor of Opticianry at Seneca College, as well as program developer and course coordinator. Weissberger first volunteered as an Optician 14 years ago when the first Opening Eyes event took place in Ontario. Now Weissberger is a head dispenser for Essilor and a Clinical Advisor for Opening Eyes. Brad McDougall: Brad McDougall is an Opening Eyes Clinician. Brad has been instrumental in ensuring that athletes in British Columbia get the eye care they deserve. He works with SOBC to ensure we have the equipment we need, recruits volunteers and works with our lens provider to ensure that athletes receive eyewear that ensures they can perform both on and off the field. Brad has been providing this care for more than five years and goes above and beyond every time. When one young athlete went through the Opening Eyes screening and it was found she needed glasses but we didn’t have frames small enough for her. Brad provided her with frames, ensuring that she was not restricted by sight. But it also showed her family that SOBC and our clinicians truly care about our athlete’s health care. Pam Kiselbach: Pam is the clinician for Health Promotion and was one of British Columbia’s first Healthy Athletes clinicians. Pam has volunteered with Special Olympics for 13 years, first as an event volunteer and then in 2008 she took on the role of Head Coach for Track & Field in Coquitlam. She is also the Club Fit coach, delivering health and wellness programs directly to the athletes. In 2010 SO British Columbia approached Pam to become the first Health Promotions clinician. After her training, not only did she assist with Healthy Athlete Screenings for the 2014 National Games, she has attended almost all of the Healthy Athletes events we have hosted around the province, travelling to Prince George, Cranbrook and more. She has worked hard to keep updating the information athletes receive through Health Promotion. 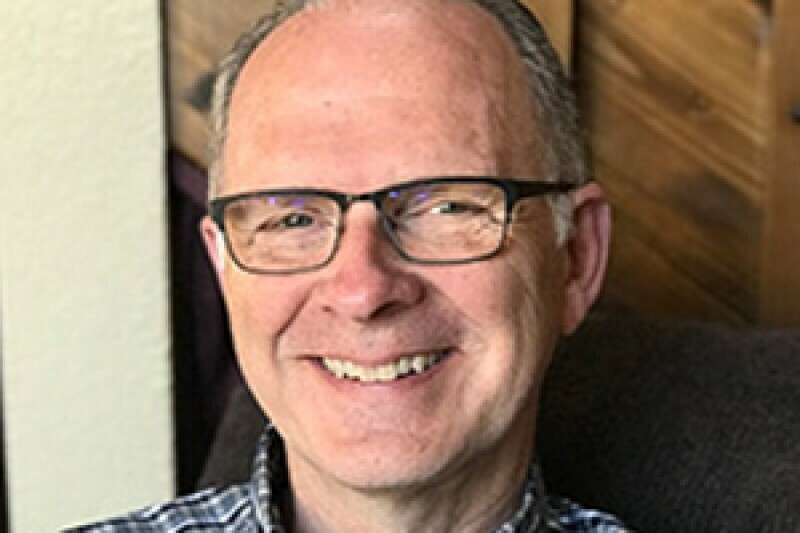 Todd Hoar: Todd Hoar has over 25 years’ experience working with people with intellectual disabilities and currently serves as the Director of Developmental Disability Services for the city-county of Butte-Silverbow in Butte, Montana. Todd has been involved in Special Olympics for over 15 years. He has been a strong supporter of Healthy Athletes and he consistently sends athletes to the screenings held during the State Basketball Tournament. 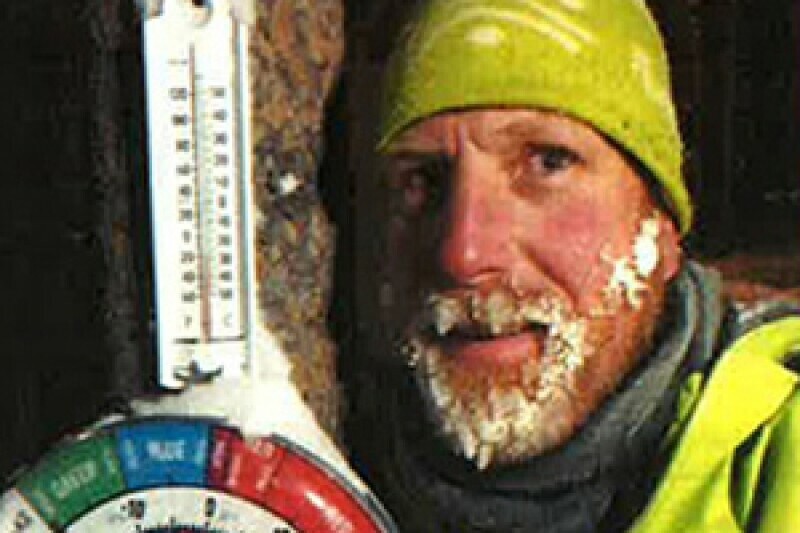 After a Healthy Athlete event, he ensures that the Butte—Silverbow athletes receive follow-up care from health care providers and support through a peer group who works to overcome health issues. For over 15 years, Todd has been the American's with Disabilities Accessibility (ADA) Coordinator for Butte-Silverbow County. He works closely with the ADA Advisory Committee and local government officials to advocate for services and program inclusion for people with intellectual disability. He ensures that government policies, decisions and environments are inclusive. Todd has sat on the Montana Disability and Health Program Advisory Group for 10 years. He has completed two statewide strategic planning processes with the program and is currently involved in developing the third Montana Disability and Health Program strategic plan. Rob Viveen: Rob Viveen is a member of Lions Netherlands. 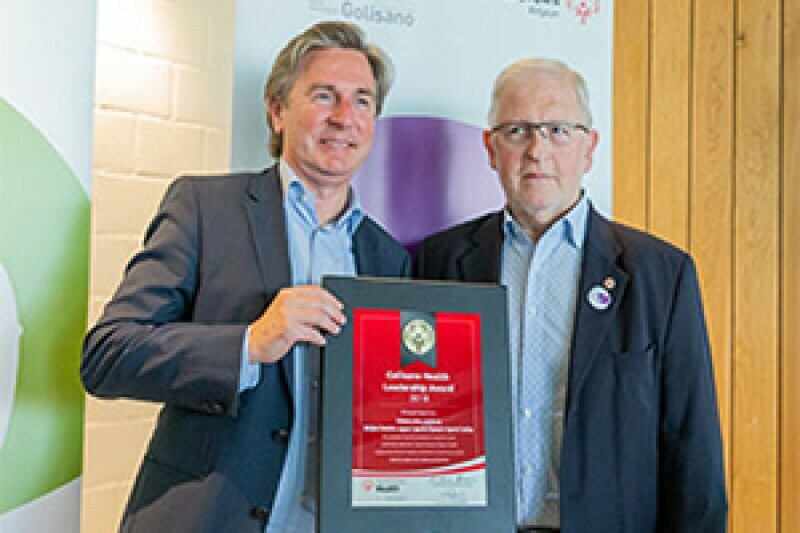 Since 2002, Rob has coordinated and stimulated the contribution of the Lions manpower and financial support for Special Olympics Netherlands. Every two years Netherlands hosts its National Games and Lions volunteer during the Healthy Athletes Program. Rob oversees new volunteer recruitment has SO Netherlands now has a large network of Lions Clubs volunteers. Rob was also instrumental in securing a contract to broaden Lions support. Izabella Pulvermacher, RDH: lzabella Pulvermacher, RDH, Dental Service Coordinator for the Connecticut Department of Developmental Services (DDS), serves as a liaison to individuals with intellectual disabilities to find appropriate dental care. She also is a dental contact for social workers, nurses, parents and advocates to provide support and assistance. She serves on many professional oral health organizations and provides training to dental professionals on treating individuals with intellectual disabilities. Since the start of SO Connecticut’s Healthy Community project, lzabella has been an invaluable resource and support in efforts to provide athletes, parents, and caregivers with the necessary information for follow up care. Once a screening identifies further follow up care is needed, lzabella serves as a contact for athletes to assist in finding a dental home. lzabella works with each athlete and/or family to locate a dental home within their community and will also accompany the athlete to the initial appointment. She goes above and beyond her role as a dental coordinator and she has been instrumental in follow up care efforts. 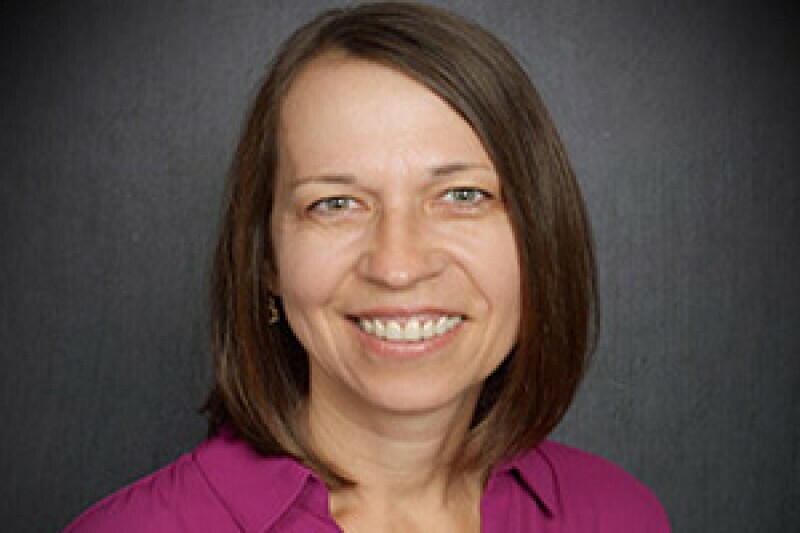 Karen Roth: Karen, who resides in East Lansing, started her volunteer experience in 2001 with the Special Smiles program at the State Summer Games for Michigan. In 2004 she, became the Clinical Director for Michigan. Under Karen's leadership, Special Smiles events are now conducted at the State Basketball Finals, State Poly Hockey Finals, State Fall Games, and the State Summer Games. This program was provided to 970 athletes in 2017. Karen has sought volunteers from Alpha Omega Dental fraternity to supply custom made mouth guards for Special Olympics Michigan athletes at the State Poly Hockey Finals in Lansing. She has also set up a referral system for athletes seeking follow up care. Karen has assisted at Special Olympics Michigan Capitol Day and has reached out to U.S. legislatures, encouraging them to support health care and funding for SO Michigan. Karen is active in public policy within her own career. Karen has been an active participant in campaigning for funding, has spoken at the annual Breakfast of Champions in Detroit, has directly reached out to dentists to provide pro bono services for Michigan athletes in need, and recently helped Special Olympics Michigan secure a $10,000 grant from the Michigan Dental Foundation for electric tooth brushes which were distributed to athletes at the 2018 State Summer Games in Mt. Pleasant. Anthem Blue Cross and Blue Shield Indiana: Anthem Blue Cross Blue Shield Indiana (through the WellPoint Foundation) started their significant support of Special Olympics Indiana health and fitness programming with a grant in 2010 underwriting the costs associated for a partnership with IN-Shape Indiana that targeted increasing fitness levels of Special Olympics athletes and an effort to reduce the use of tobacco products. Anthem returned in 2014 with a grant to initiate a new focus on Coaches Education, ensuring that every volunteer coaching a Special Olympics Indiana team had access to high quality information on health, fitness, and coaching philosophy to ensure maximum individual performance. 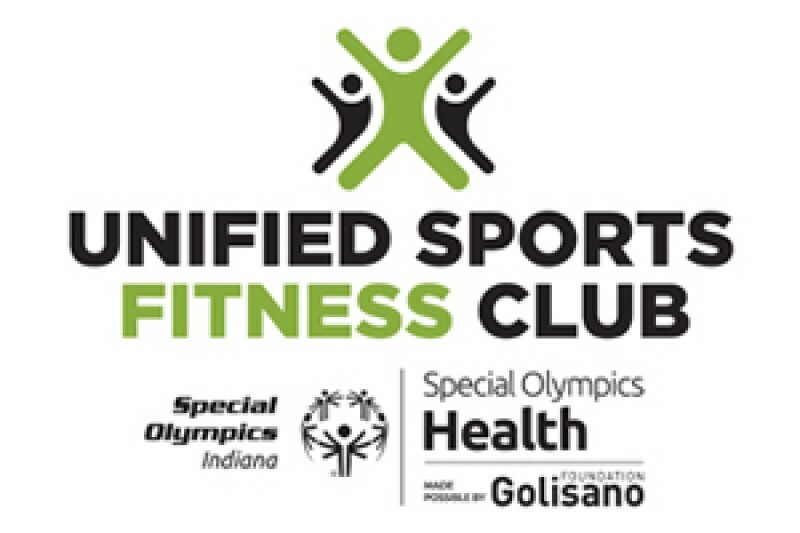 The third and most explosive grant from Anthem was awarded in 2016, with funding that provided all the costs associated with the launch of SO Indiana’s Unified Fitness Club program. With this support, Indiana became a leader in fitness programming for people with intellectual disabilities. Finish Line: Finish Line established a relationship with Special Olympics Indiana through a small grant in 2011. Shortly thereafter, their organization reached a decision to become a national-level sponsor of Special Olympics as the featured charity for all Finish Line stores. From the beginning Finish Line focused on fitness as the strategy that most aligned with their business. They have been uncanny in their willingness to invest both financial and human resources in supporting Special Olympics’ creation of programs that guide athletes into a healthier lifestyle. A keystone of Finish Line involvement has been an unreserved commitment to ensure their employees across the organization become involved personally in Special Olympics. Since 2012 Finish Line in Indiana has annually recruited between 150 – 250 volunteers to attend the Indiana Summer Games in June. Montgomery-Parke Unified Fitness Club: Indiana athlete Mike Baker and his wife Tina orchestrated the Montgomery-Parke Unified Fitness Club that now has 85 members (40 athletes and 45 partners) each of whom uses a fitness device to track their daily activity. The device, provided by SO Indiana thanks to Anthem, connects to an electronic platform that collects information from all members when synched. The Montgomery-Parke Unified Fitness Club documented 73,373 miles walked/ran between April 1, 2017 and March 31, 2018. A key element contributing to this remarkable number is creating a local partnership with the Fraternal Order of Eagles, where a key member of their local aerie (council) became seriously focused on recruiting club members to participate in the Indianapolis Mini-Marathon. Because of this partnership, there is never a shortage of volunteers, allowing the club to maintain a 1:1 ratio of athletes and partners. This year, the club had four athletes and three partners participate in the 13.1 mile Indianapolis Mini-Marathon, and five athletes and four partners participate in the related 5K event. 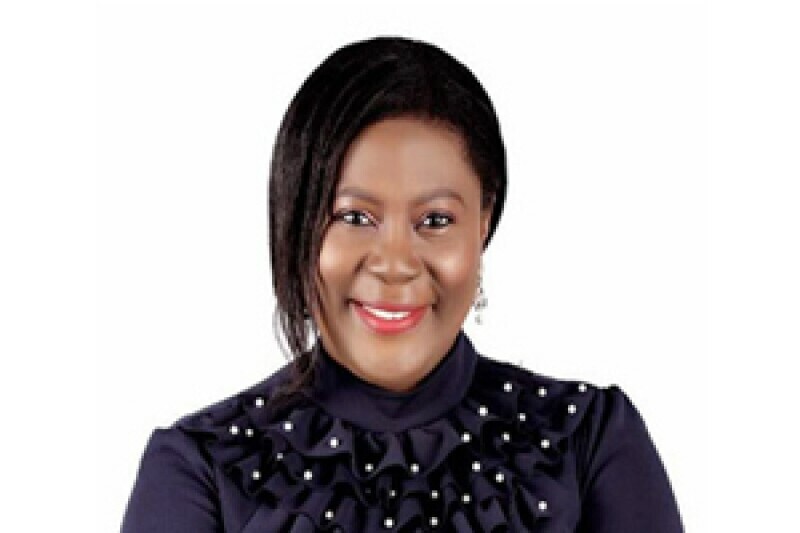 Dr. Ogechi Nwokedi: Dr. Nwokedi is a strong advocate for people with intellectual disabilities and has had various speaking engagements with organizations catering to people with intellectual disabilities and forums for parents and family members about the need for good eye care and hygiene. She has spread the message for the acceptance, inclusion and integration of people with intellectual disabilities. In her private facility, she runs a free monthly clinic for people with Down Syndrome, Hydrocephalus, Spina Bifida, as well as Cerebral Palsy. Through this platform she celebrates people with intellectual disabilities and others with special needs by partnering with various organizations annually. She also recruits optometrists and volunteers for screening events, thus enabling a stronger partnership with the Nigerian Optometric Association and sources for affordable equipment for the program and ensures that the Opening Eyes program is seamless and run successfully. Dr. Anna Nadolska: Assistant Professor at the Department of Physical Culture of Disabled People, University of Physical Education in Poznań, Dr. Nadolska focuses her studies on the ecological conditions of sports activity of people with intellectual disabilities and forms of psychomotor support for people with intellectual disabilities and the spectrum of autistic disorders in the field of adapted physical activity. In addition, she implements inclusive education, which is open to the needs of students with disabilities. Anna has volunteered with Special Olympics Poland for 23 years, first as a sports coach for speed skating and roller-skating, and since 2007 the National Clinical Coordinator of the FIT Feet program. Recently, Anna has been involved as the advisor in creating a Health Community in Poland. Dr. Rena Szabo: Dr. Szabo is passionate about Special Olympics. She enjoys sharing her time, treasures, and talents within the organization. She is an Executive Board Member of Special Olympics Arizona as well as the Executive Chair for the Health Leadership Committee. Dr. Szabo also sits on the Special Olympics U.S. Leadership Council as a professional member. In 2014, Dr. Szabo developed a Sports Psychology program that has been piloted and implemented in Arizona for five years, as well as, in Belize. 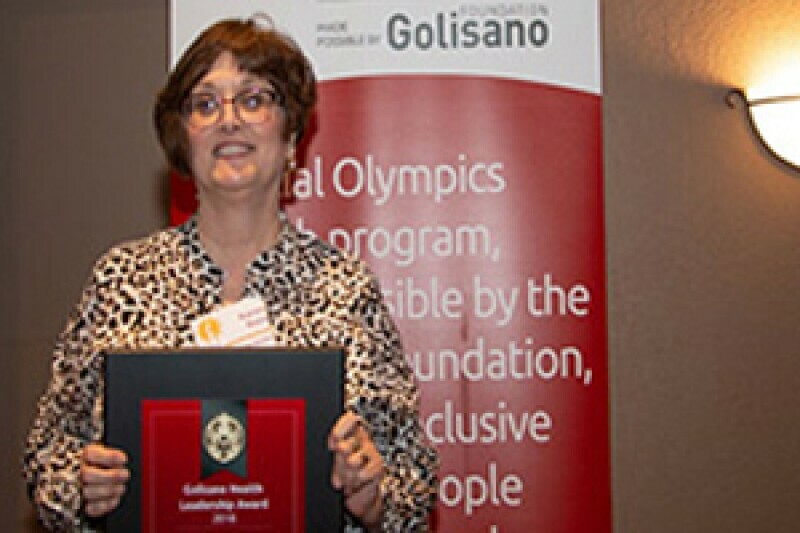 Dr. Szabo provided input from experience gained from running the Sports Psychology program which helped Special Olympics International create a new Healthy Athletes discipline, Strong Minds, where she currently serves as a Clinical Director. Dr. Szabo works at the intersection of psychology and medicine. Dr. Szabo specializes in exploring the biological psychological, cultural, societal and environmental factors of life, and how each of these affects physical health. Her use of evidence based practices within an integrative setting allow her to provide whole- person care. Dr. Szabo also has a research interest based on the health and wellness of various populations. Her specific interests are in the psychological and social factors that lead to the enhancement of health and wellness. Dr. Szabo has spent over 25 years working with individuals with intellectual disabilities. Dr. Szabo's educational background includes a Doctoral degree in Clinical Psychology, a Master degree in Clinical Psychology, a Master degree in Special Education, and a Bachelor degree in Special Education and Development. She completed her pre-doctoral residency and post-doctoral fellowship at Alexian Brothers Health System in Illinois. 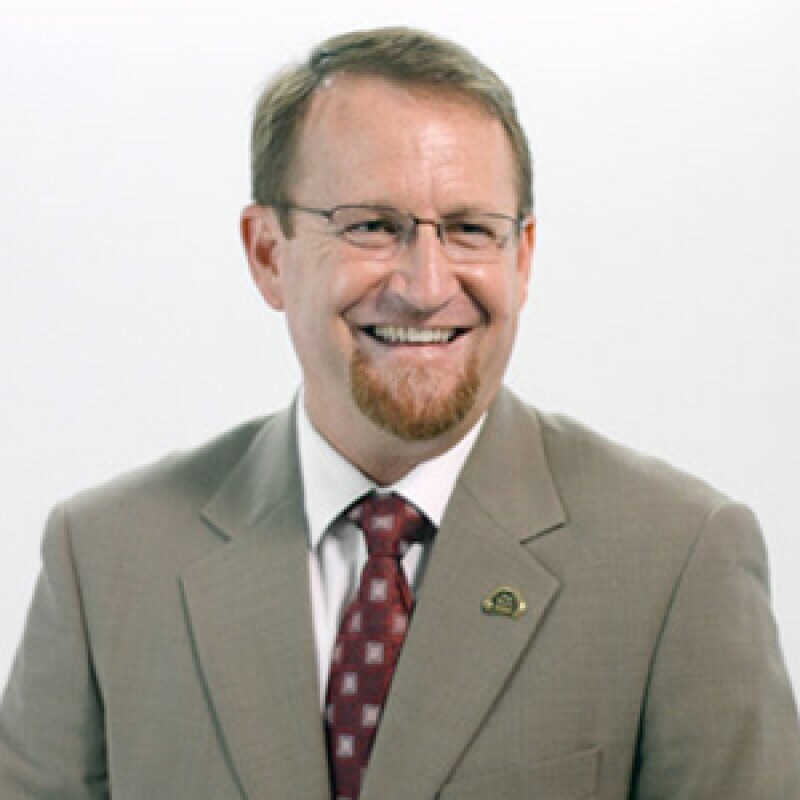 Dr. Jim Farris: Dr. Farris is a physical therapist and the Physical Therapy Department chairperson at A.T. Still University (ATSU) in Mesa, AZ. His doctoral degree was conferred by The Ohio State University where his studies focused on exercise physiology and nutrition. He completed the APTA’s Education Leadership Institute Fellowship in 2015 and is an ELI Fellow. Dr. Farris joined ATSU in 2009 and is now in his 21st year of physical therapy teaching. 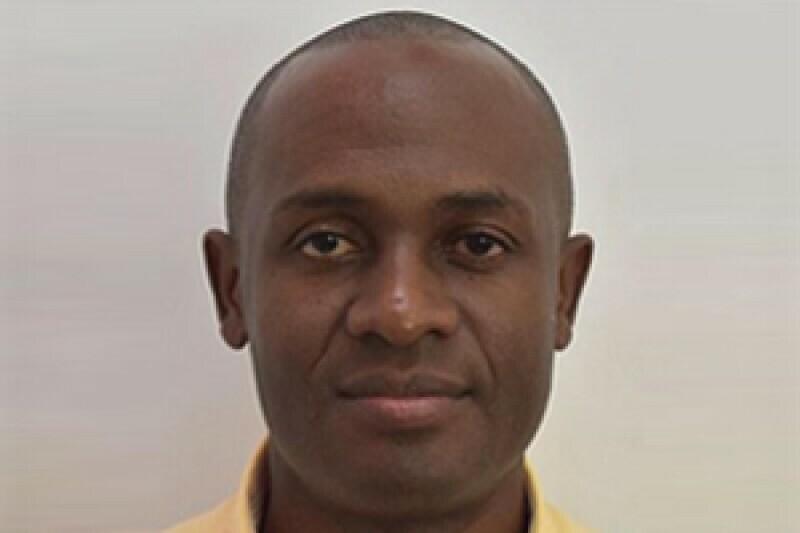 His current research efforts are aimed at childhood obesity and prevention of the related cardiovascular disease risk factors, submaximal aerobic fitness testing in children, education and admission issues, and the screening/management of DVTs/VTEs. He also has interests in nutrition for optimal health and performance and he has written a chapter on “meal timing” in a sport nutrition book. He first volunteered to help with FUNfitness in October of 2009, became an Arizona State Clinical Director for FUNfitness in 2014, and initiated training to become a FUNfitness Regional Director in 2016. He has also been involved with SOAZ's Medical Advisory Committee and currently serves on the SOAZ health Leadership Committee. His home is in the West where outdoor activity and sunshine is abundant. He currently teaches special topics within courses in the DPT program (physiology, pharmacology, research) and teaches the biophysical agents course. Dr. Randi Winston-Gerson: Randi Winston-Gerson is the Hearing Screening Program Manager at Audiology Systems, Inc. 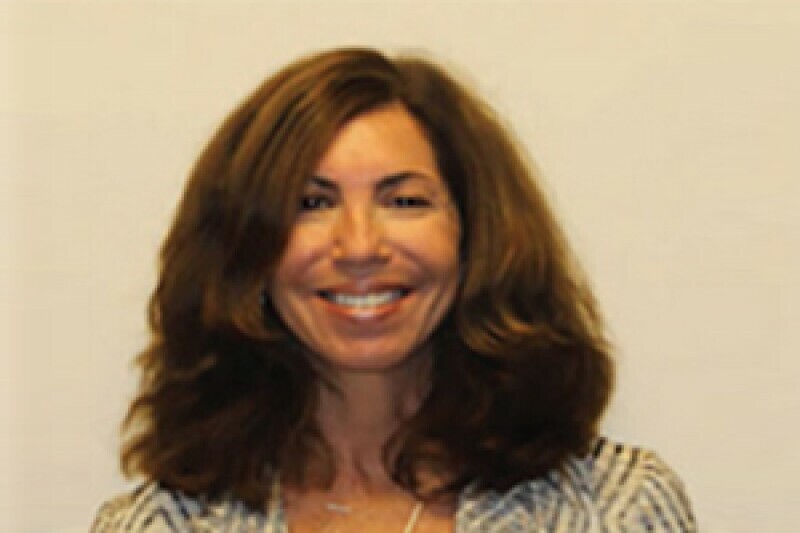 Her role includes developing educational, training and support programs for the pediatric hearing screening products. For 15 years prior to that she worked for Arizona’s Early Hearing Detection and Intervention (EHDI) program and the EAR Foundation of Arizona (EFAZ). Her focus was in implementing newborn hearing and early childhood screening programs, with an emphasis on quality assurance and best practices. She has conducted numerous presentations and co-authored several research articles involving early childhood screening. Randi holds a doctorate in audiology. Since 2005 she has held the role of Healthy Hearing Clinical Director for Arizona’s Special Olympics. 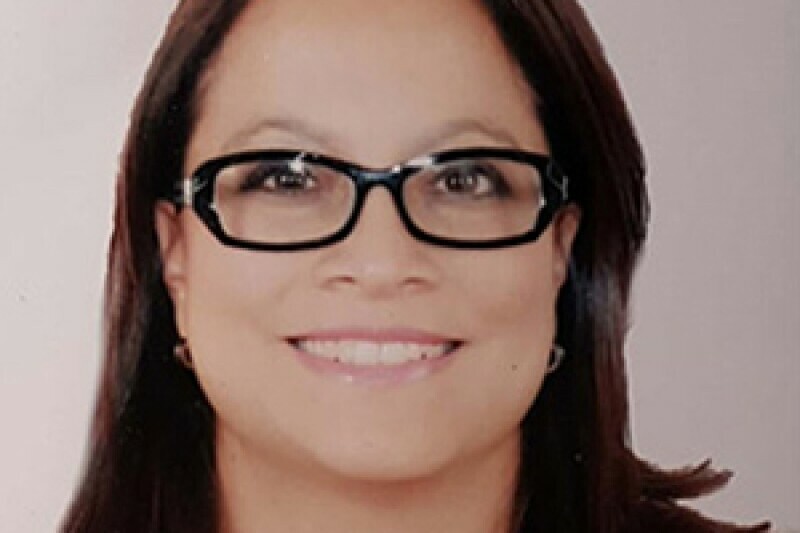 Profesora Alis Ramos: Alis has been involved with the organization of all Special Olympics Venezuela events, not only coordinating, but facilitating the spaces, staff and teams motivating the families and friends of the athletes to participate in the program. Alis has remained active in each of the events that have been carried out to monitor the health care of each of the participating athletes, maintaining a careful control of the lists of athletes, establishing contact with families explaining the importance of these events and summoning them to massively attend the planned events. The impact has been positive because thanks to the effort and perseverance of the nominee the athletes attend with great enthusiasm to the events, achieving a change in their attitudes and their quality of life through the scope of the program. 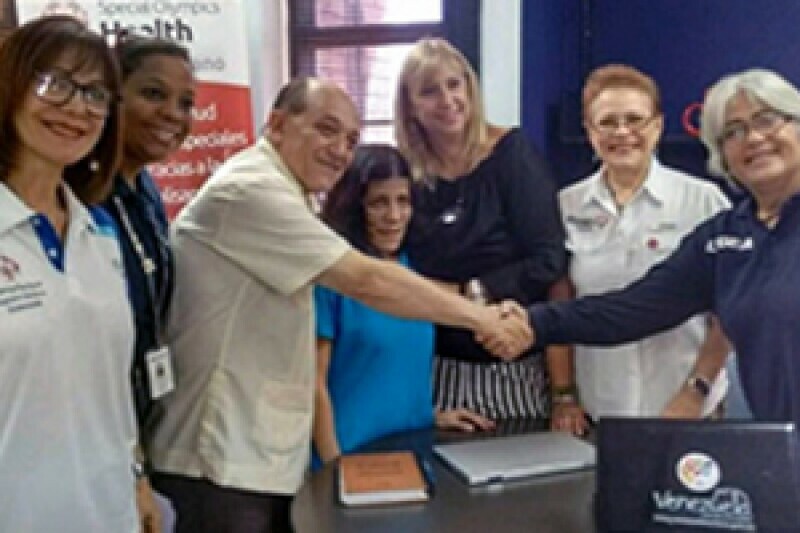 Hospital de Especialidades Pediátricas de Maracaibo ( Estado Zulia): The pediatric specialty hospital was added to Special Olympics Venezuela’s Healthy Communities’ project in 2016. The hospital of pediatric specialties has contributed with its spaces in the areas of Audiology, Ophthalmology, Psychology, Dentistry and Rehabilitation by providing free care to all athletes and especially to those under 18 years of age. Through the different health stops made in the Hospital of pediatric specialties, it has been possible to monitor the health of the athletes in the different areas such as ophthalmology, audiology, physiatry. The impact has been positive because through this follow-up, conditions have been diagnosed that have been improved by means of medical treatments, dental prostheses, corrective lenses, which has improved the quality of life of the athletes served. The Hospital of Pediatric specialties from the beginning encouraged the training of its personnel and its facilities are headquarters of the attention to athletes under 18 years and because it is a reference hospital it has made available to Special Olympics its areas of external consultation, auditorium and classrooms. MUDr. Libor ČERNÝ, PhD: MUDr. Cerny provides support through his facility by donating materials, ensuring the support for the Healthy Hearing program of his department colleagues. He educates the team of volunteers from medical staff or medical school students. He instructs about Special Olympics and Healthy Hearing in his medical study programs. 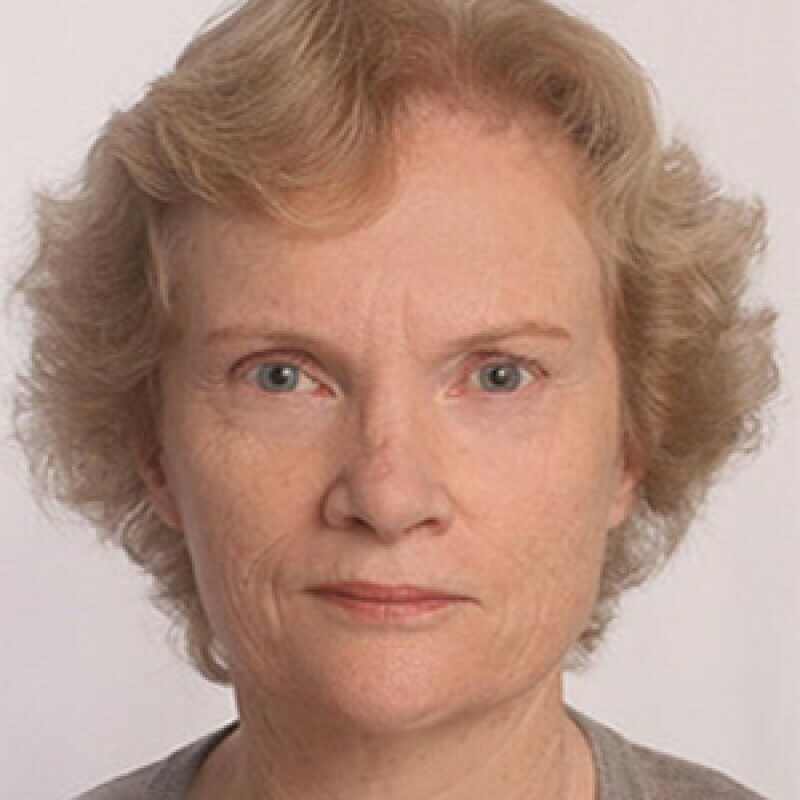 Dr. Jeanine Doherty: Dr. Jeanine Doherty, Audiologist has been a Clinical Director for Healthy Hearing since her training at the Shanghai World games in 2007. She became Asia Pacific RCA in 2012 and has now been involved with Healthy Athletes for 13 years. Jeanine continues to exhibit wide-ranging commitment to Special Olympics NZ and to Healthy Hearing globally. Her role began as a supporter of the Healthy Hearing screening program in New Zealand. She volunteered when the program came to New Zealand in 2005, became a Clinical Director in 2007 and moved up to become the 1st Asia Pacific Regional Clinical Adviser for Healthy Hearing in 2012. She helps worldwide with Healthy Hearing screenings when on her holidays and has also worked at several World Games. She will be helping in at SO Ireland’s first screening in June 2018 and believes that helping has no geographical boundaries. 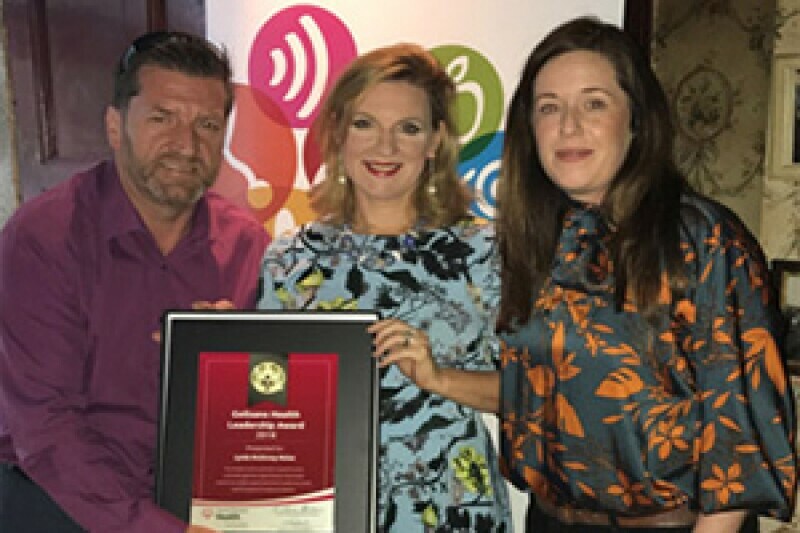 Jeanine commits significant personal time and financial resources to supporting Healthy Hearing screenings and community screenings in New Zealand and Australia. She ensures that only high-quality information is disseminated about the findings around the audiological needs of persons with ID. 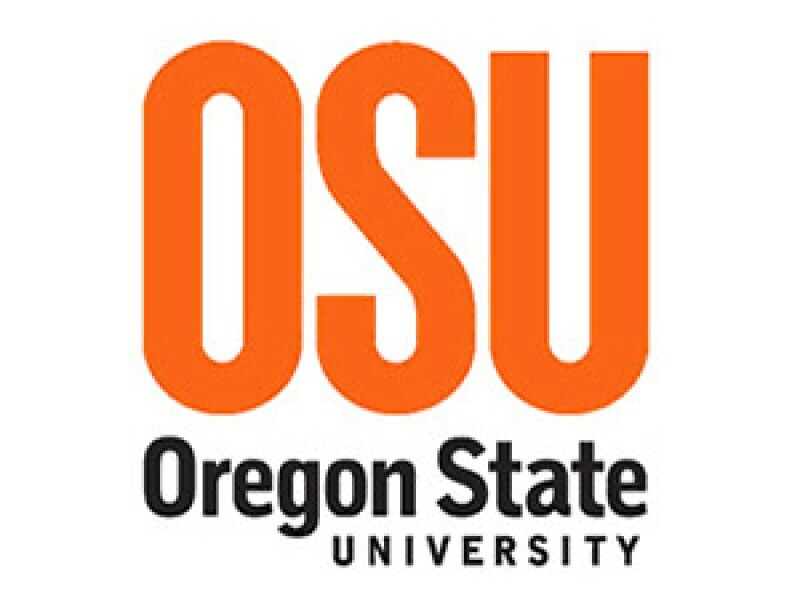 OREGON STATE UNIVERSITY College of Health and Human Sciences: Oregon State University – College of Public Health and Human Sciences is receiving this award due to their ongoing commitment and dedication to helping advance health opportunities for individuals with intellectual disabilities. Specific thanks to Dr. Ed Ray for his leadership, and to Gloria Krahn, PhD, JK Yun, PhD, and Alicia Dixon-Ibarra, PhD for their work with our partnership related to Oregon Team Wellness. Oregon Team Wellness is a unique, community-based health and wellness program designed for individuals with and without intellectual disabilities (ID). With both fitness and nutrition components, Oregon Team Wellness is activity-rich, provides incentives to achieve goals, and includes the establishment of clear benchmarks and careful measurement of outcomes. Dr. Jim Chesnutt, MD OHSU March Wellness and Fitness Center OHSU Sports Medicine: Dr. Jim Chesnutt is being honored for his work with our Special Olympics Oregon and his commitment to helping athletes improve wellness. Dr. Chesnutt has been instrumental in the development of Oregon Team Wellness. Oregon Team Wellness is a unique, community-based health and wellness program designed for individuals with and without intellectual disabilities (ID). With both fitness and nutrition components, Oregon Team Wellness is activity-rich, provides incentives to achieve goals, and includes the establishment of clear benchmarks and careful measurement of outcomes. Tine Kovačič: Thermana Laško d.d. company has hosted Special Olympics athletes at regular monthly meetings for the fourth year now and therefore helps them achieve better sports results with their services. Thermana Laško, d.d. : Tine Kovačič, Master of Science, has been the head of Fun Fitness health program since 2009 and also a Special Olympics coach. He has screened more than 3,000 athletes and advised the coached on improving basic body fitness based upon the results. 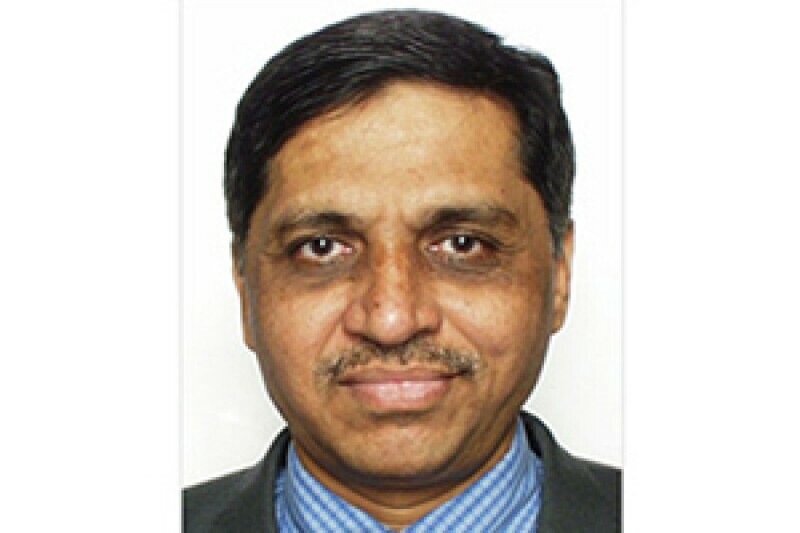 Dr. Ashok Dhoble: Dr. Ashok Dhoble, an orthodontist and dental surgeon is the Honorary Secretary General Indian Dental Association- the voice of the dental profession in India. The Healthy Athletes Special Smiles Program has gained wings and momentum in India due to the active involvement of Dr. Dhoble and IDA. He has signed an MOU of IDA with Special Olympics Bharat with a commitment to create year round access to oral health care to our athletes and care givers. The athletes are screened and follow up treatment provided at clinics of IDA members. Through this MoU Dr. Dhoble has provided visibility to SO Bharat through one page of print on activities of SO Bharat in the 7 journals of IDA per month since 2015. This print media presence has a huge impact to enhance awareness amongst the dental professionals and the lay public as they are available in the clinic reception as reading material. IDA invites articles on Special Care for people with IDD for publication in its scientific journal. All IDA National Conferences allocates space for scientific paper and poster presentation on issues related to health of people with IDD and ways to improve the same. Collaboration Platform: Belgian dentists support Special Smiles was created in 2003 by Luc Marks and Michel de Decker in order to support the oral health care of the special care population in Belgium. Currently the 4 major Belgian Universities (UGent / KuLeuven, UCLouvain and VUBrussel) are involved in combination with all dental professional organizations (VVT/WTB, VBT, SMD, CSD of both the Flemish -and French speaking parts of the country. Moreover strong and long-term partnerships with the industry are made (Meridol/Colgate & Oral B P&G) since the start of the collaboration. This National collaboration platform is complete unique in Belgium both on the academic as the professional level. Additionally members of multiple service clubs like Ladies Circle, Lions Club, Rotary etc. are involved as volunteers. 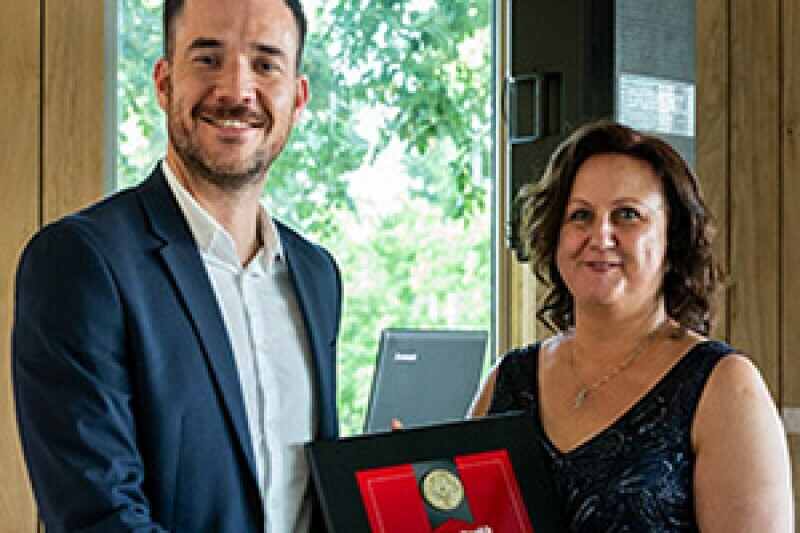 Diane Buekers: Diane Buekers has been involved in Special Olympics Belgium for the last two years as the clinical director of Health Promotion. Within the Belgian Healthy Communities projects she runs a project about adapted movement and nutrition for people with severe disabilities in combination with chew and swallow problems. In this projects 6 separate events are being organized for this vulnerable target group. Thanks to this event Diane has attracted a lot of dignitaries, organizations and new partners to the movement. In her professional life, Diane is the coordinator of Nutrition in the institution ‘Ter Heide’ where also the 6 events takes places. She is an expert in the field of nutrition for people with severe disabilities and is a frequently askes guest speaker in colleges and on conferences. Melina Willems: Melina Willems has been active in Special Olympics since the start of the Belgian Healthy Athletes Program. 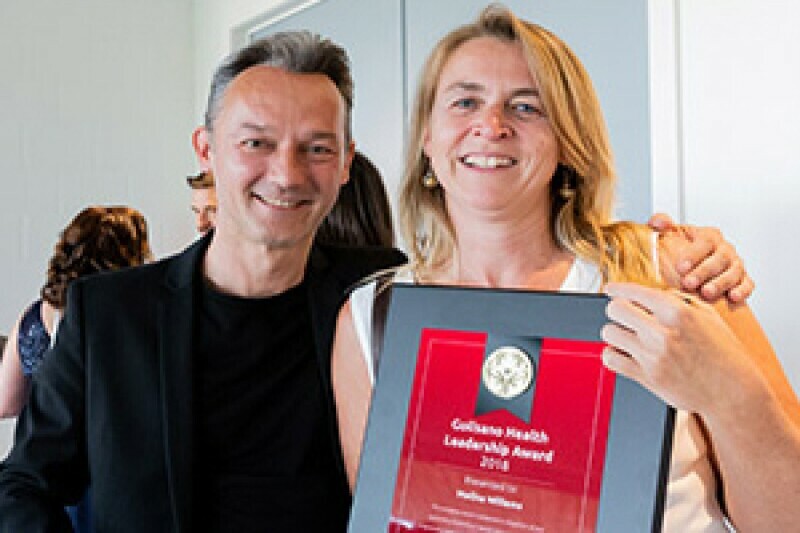 Not only is she active as a clinical director for Healthy Hearing in Belgium, she has also been the Global Advisor for this discipline for several years. In addition to that, Melina has set several objectives for Healthy Hearing within the Belgian Healthy Communities project amongst others, improving the follow-up, education of students and performing vestibular screenings. She also plays an important role in the project that Special Olympics Belgium has together with the Baxter International Foundation. Together with a Healthy Hearing Assistant, she works on offering Healthy Hearing screenings to a larger and wider audience, including in the communities, and on education of family members and professionals. They also try to reach as many students and professionals to become a Healthy Hearing volunteer as well as starting a cooperation with all 7 universities and colleges in Belgium that offer audiology. In her professional life, Melina is a lector at the Artevelde college of Ghent where she teaches about audiology and intellectual disability. National Trauma and Orthopedic Research Center of Mongolia: Regulated by the Ministry of Health, the National Trauma and Orthopedic National Center of Mongolia is located in Ulaanbaatar city capital and is the biggest center specialized in emergency medicine. The center’s doctors had believed that people with intellectual disabilities receive the same or better health care than others. FitFeet (podiatry) screening was introduced to Special Olympics Mongolia and its Healthy Athletes® program. 2 Clinical Directors were trained in Taipei, Taiwan in January 2018. The National Trauma and Orthopedic National Center of Mongolia made a significant contribution to inspire medical staff and doctors to give equal access to health for people with intellectual disabilities. A national training was held for 120 orthopedic surgeon to raise overall awareness about Special Olympics and its FitFeet/Healthy Athletes program. This has led to secured access for people with ID for referral and follow up care. 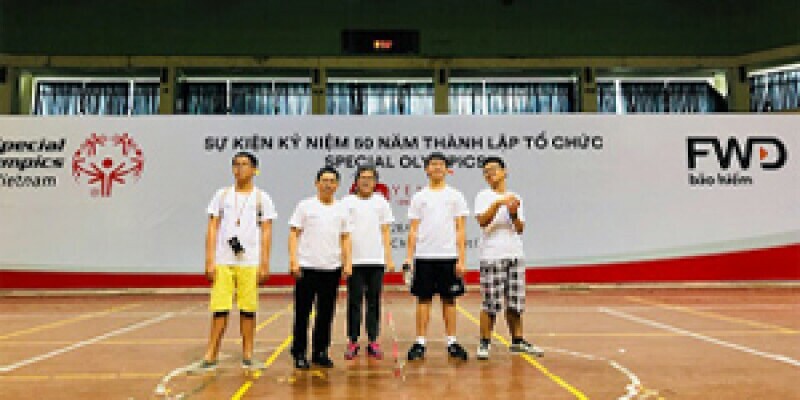 Sands China Ltd.: Sands China Ltd. sponsored Special Olympics Macau to set up “Caring of the Health of Athletes with Intellectual Disability Funds” in 2014, it provided Follow-Up Health Care and Wellness for over 2,000 athletes. Sand China LTD. Volunteers are trained so that they can understand the feelings of the athletes and acknowledge the emotion of the athletes. This has greatly helped the volunteers better understand why our athletes would have different degrees of emotional problems during their medical check-ups. 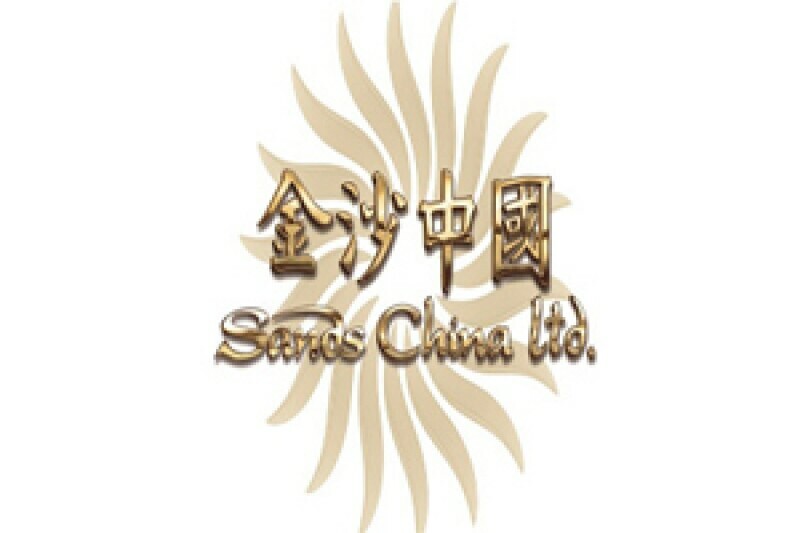 Sands China Ltd. is one of member of the Macau Healthy Athletes advisory committee, and provides long-term support for athletes and people with intellectual disabilities. Hua Dong Hospital / China: Since 2005, Hua Dong Hospital based in Shanghai, has formed a medical volunteer team to support Special Olympics Healthy Athletes screenings, and established a year round Special Olympics Health Support Project team, led by Health Promotion RCA Dr. Ying FENG, has made influence in local society, to promote the equal health rights for people with intellectual disability in China. The Health Project team has conducted the Healthy Athletes event in 17 cities and completed more than 12,000 screening. 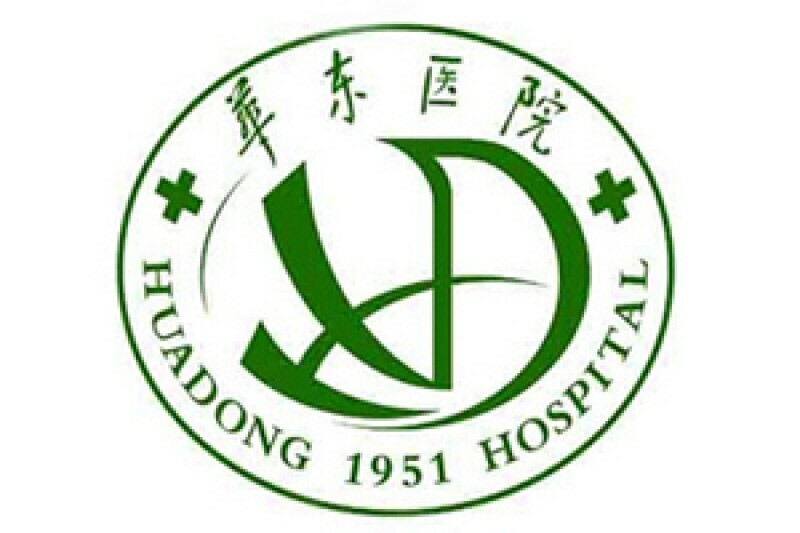 This project team leader Dr. Ying FENG was invited to in charge the Healthy Community project in 2017 and Hua Dong Hospital supported the access to athlete referral and follow up care. The hospital works with special schools and community centers to introduce the wellness program, as well as rehabilitation training, to benefit 100 athletes who need referral and follow up care every year. Submanagement Sciences Applied to Sports of the Comité Olímpico Guatemalteco and Confederación Deportiva Autónoma de Guatemala: The committee aims to preserve the health and contribute in the optimization of the physical performance of federated athletes across assessment of the sciences applied to the sports. This is the biggest institution that gives health care to Special Olympics Guatemala athletes. The committee has opened its services whenever necessary, achieving the inclusion of people with intellectual disabilities. Health care professionals have begun to see patient with intellectual disabilities. The institution has recognized the health importance to improve the performance in the sport. 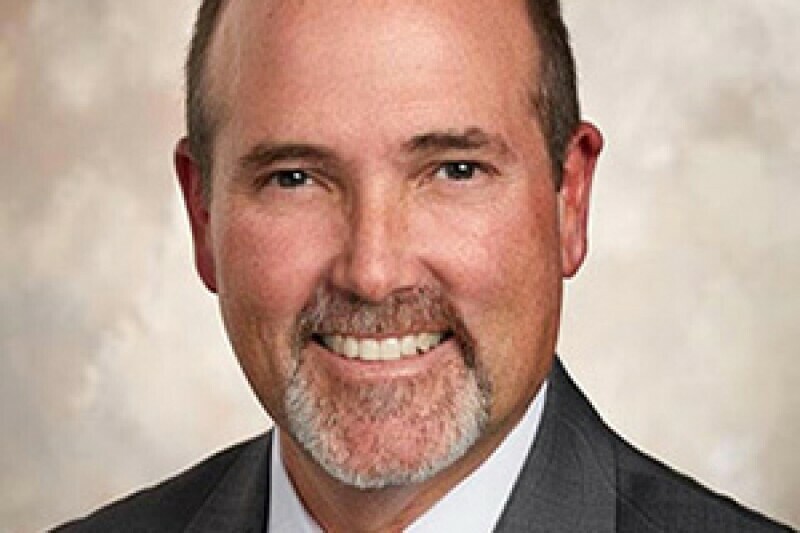 David Cato: David Cato is the Chief Administrative Officer of Outpatient Services for Lee Health. He oversees the strategic, operational, and clinical direction for outpatient services and other Post-Acute and Rehabilitation areas of Lee Health. Post-Acute Services are provided at multiple sites throughout Southwest Florida, offering a wide array of services, and very accessible for the IDD population to receive healthcare. As part of his role, David also serves as part of the Golisano Children’s Hospital of Southwest Florida leadership team to provide enhanced access to outpatient services in the community. 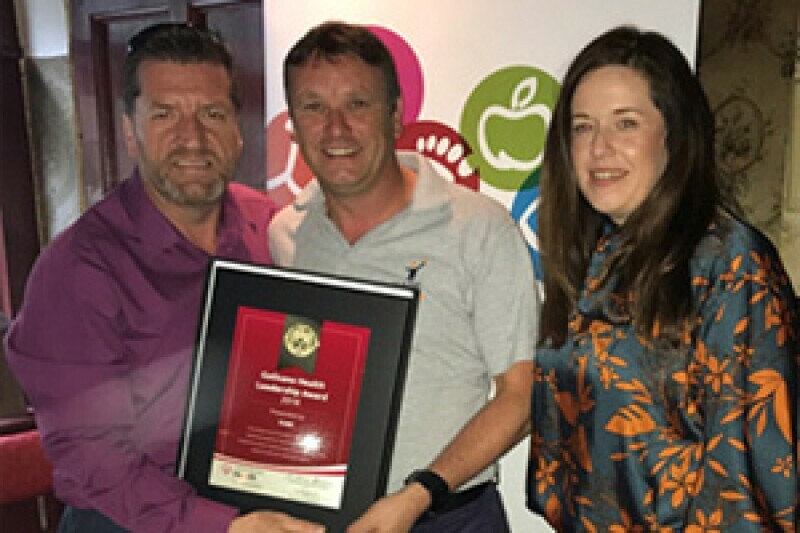 As a FUNfitness Clinical Director, David has been truly been instrumental with recruiting healthcare professionals and university/college students in the area. In fact, David has spoken at the Southwest District of Florida Physical Therapy Association meeting along with the Southwest Community Outreach Manager to recruit members from the organizations. His local recruitment triggers an enormous volume of PTs, PTAs, and students devoting their time at Special Olympics Florida local, regional, and state events. 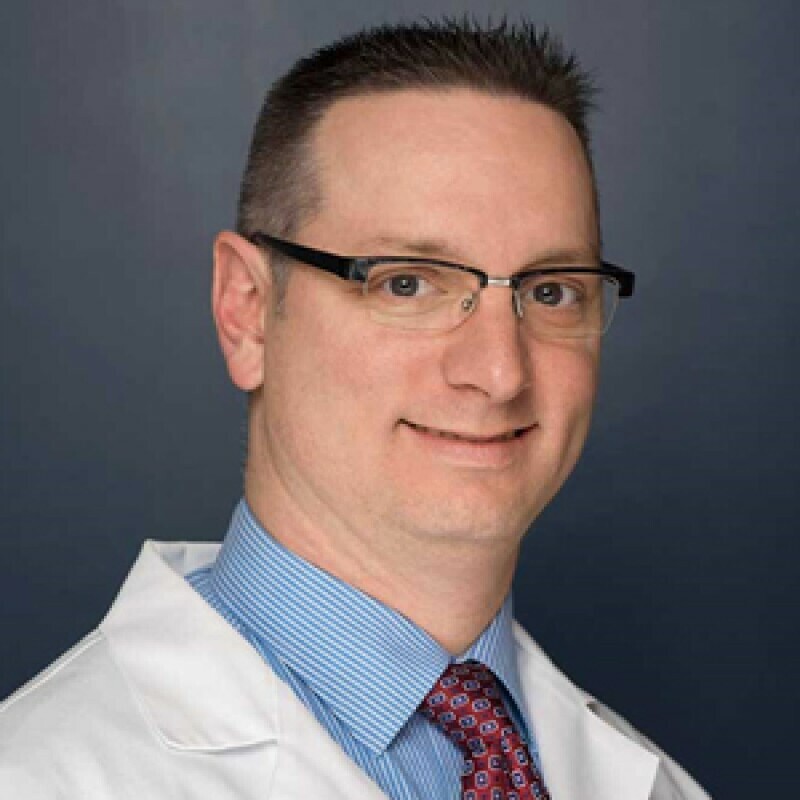 Dr. Peter Seidenberg: Dr. Seidenberg is a family and sports medicine physician at Penn State Sports Medicine College. 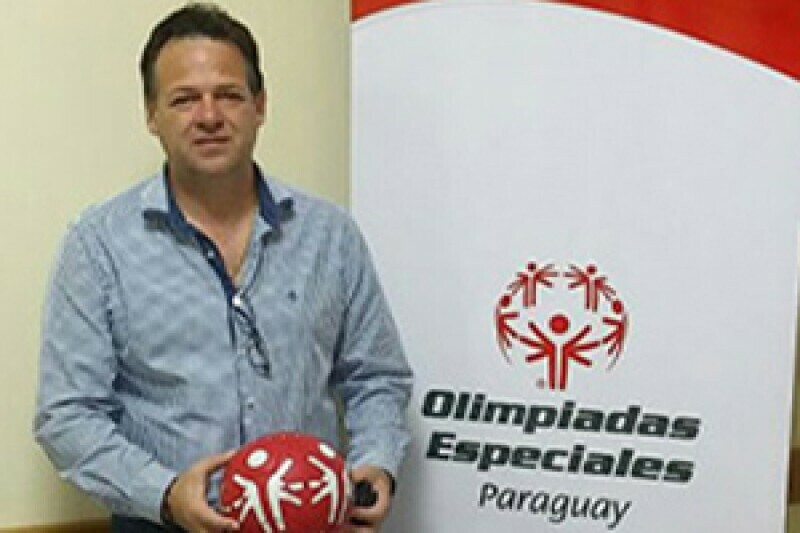 Dr. Seidenberg has been involved with Special Olympics for over 18 years. His accomplishments include working with Dr. Matthew Holder to develop the International Standard for Care for Sports Physicals for Special Olympics in 2004. Seidenberg has evaluated, strengthened, and contributed to the global roll-out of MedFest and helped to develop and refine the MedFest Train-the-Trainer curriculum. Seidenberg is currently working with Special Olympics Pennsylvania to create a directory of providers who will accept athletes in need of follow up care as well as developing Continuing Medical Education lectures to train healthcare providers how to deliver quality care to people with ID and work to reduce health disparities. 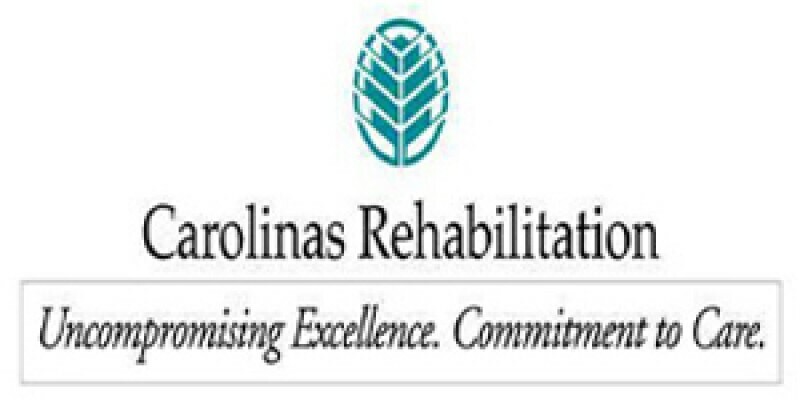 Carolinas Rehabilitation: Part of Atrium Health, Carolinas Rehabilitation is one of the largest rehabilitation providers in the nation. Located in Charlotte, NC. CR has partnered with Special Olympics North Carolina for the past 4 years to host an annual MedFest for over 600 local Mecklenburg County SO athletes. The partnership was started with the idea to host an annual MedFest led by at least 2 certified MedFest Clinical Directors vetted through their residency program. The annual MedFest has now expanded to include cardiology follow up as well as dental screenings and follow up. 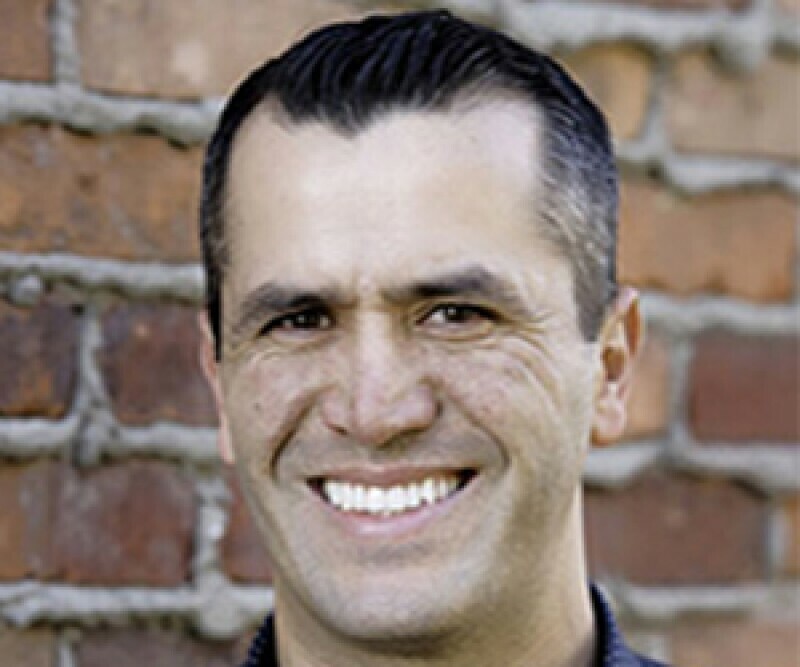 Dr. Abrahim Caroci: Dr. Abrahim Caroci is a pediatric dentist committed to offering children and families high quality service and care for long lasting healthy smiles. Dr. Caroci's training included hospital dentistry, management of trauma, infections, sedation, dental treatment under general anesthesia and special needs patients. He also completed a one year fellowship in the Leadership Education in Neurodevelopmental Disabilities (LEND) program. This collaborative interdisciplinary training focused on improving the health of children with neurodevelopmental disabilities and special health care needs. Dr. Caroci began working with Special Olympics Special Smiles in Arizona and then went on to be a part of a research delegation in two Summer Olympic Games in Athens, Greece and Los Angeles. After moving to Rochester, he became the Special Olympics Special Smiles Clinical Director to help coordinate projects, locally and statewide in New York. He is also honored to be a board member of the American Academy of Developmental Medicine and Dentistry which focuses on integrating the medical and dental fields to serve people with intellectual and developmental disabilities. Governor of Amambay, Luis González: Pedro González Ramírez, governor of Amambay, the 13th department of Paraguay developed government policies to build a General Hospital with almost all medical specialties and free care, and maintained the operation of one of the most complete public institutions in the field of health. He has also contributed to guide, promote, coordinate, specify policies of action tending to integrate people with special abilities to society, such as the provision of prostheses, orthoses, wheelchairs, crutches, walkers and others, in addition to providing and collaborate constantly with educational institutions for children with special abilities. He has provided a portion of the land for the construction of a decent home, creating a settlement with access and providing basic services so that they can live with dignity, in this sense he has given approximately 250 certificates of employment to people in less favored. 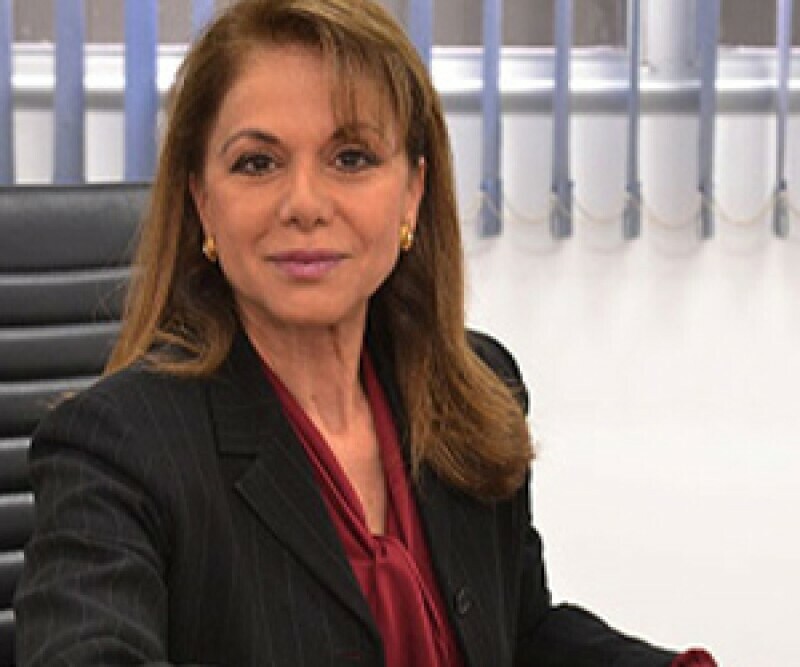 Rector of UNIDA, Leila Rachid: Rachid studied Diplomacy at the Faculty of Political and Diplomatic Sciences of the Catholic University of Our Lady of the Assumption, graduating with honors (1973-1976). Later he obtained a Diploma of Specialization in Diplomatic and Consular Agents in the Society of High International Studies of Madrid, Spain (1977/1978), a Diploma of Specialization in Political Sociology in the Center of Constitutional Studies of Madrid, Spain (1978/1979) and, finally, a Doctorate in Political Sciences in the Faculty of Sociology and Political Sciences of the Complutense University of Madrid, Spain (1977-1979) with a doctoral thesis on the "Declaration of Non-Grateful Person" with Prof. Dr. Don Antonio Truyol and Serra. During the government of Nicanor Duarte Frutos served as Minister of Foreign Affairs of Paraguay (August 15, 2003 to August 21, 2006). Now he is rector of the UNIDA. 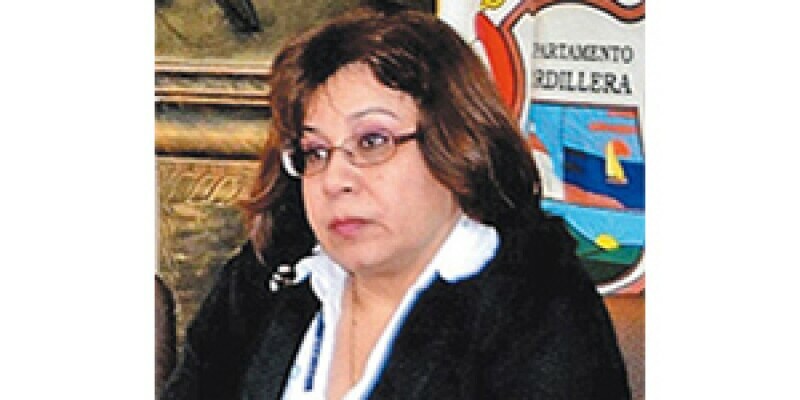 Doctora Dorisel Ferreira: Dra. 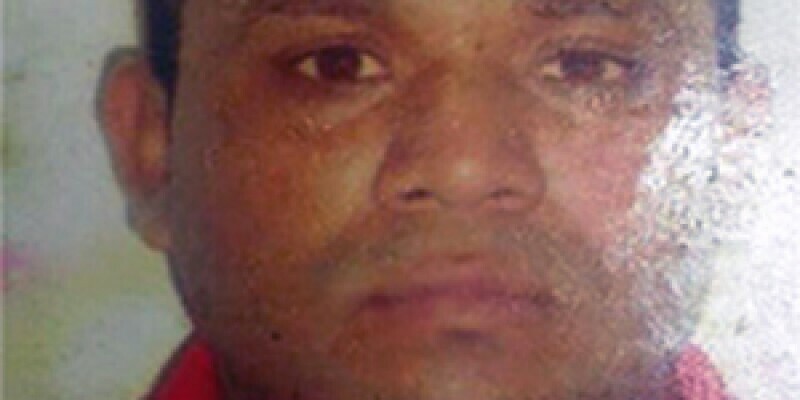 Dorsiel Ferreira is a Medical surgeon who graduated from the School of Medicine UNA promotion 1989. With a Master's degree in health management. Public Health and Hospital Administration. Director of the Piribebuy Health Center from 1991 to 2005. Director of the Regional Hospital of Caacupe for 2 periods, 2006/2008. Year 2013/2015. Director of the Third Region Sanitary Cordillera 2015 to date. Medical Office, Sanitary post of IPS Piribebuy. 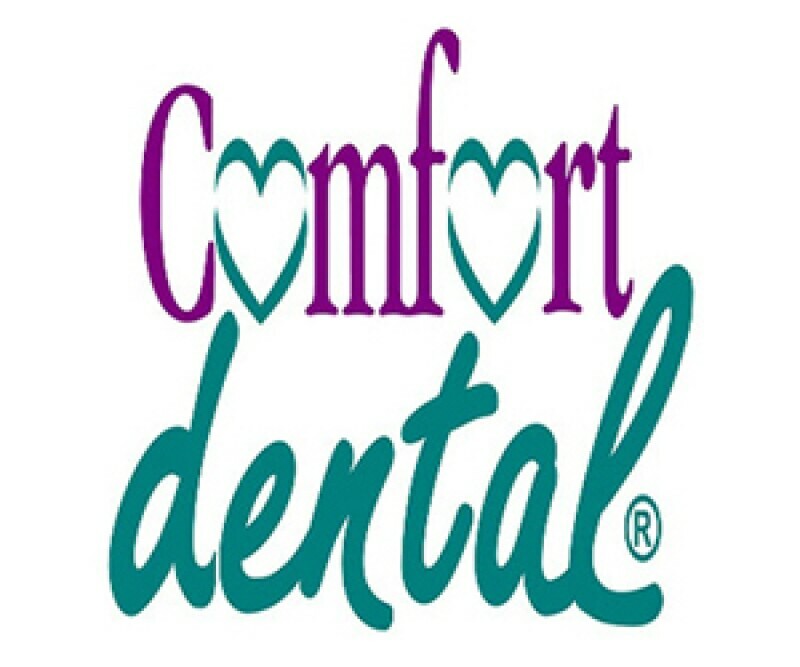 Comfort Dental: Comfort Dental is one of Special Olympics Colorado’s (SOCO) Gold Level Annual Partners and has been dental partner for more than 10 years. Over that time, their support has helped to raise awareness of the importance of good health for people with intellectual disabilities. 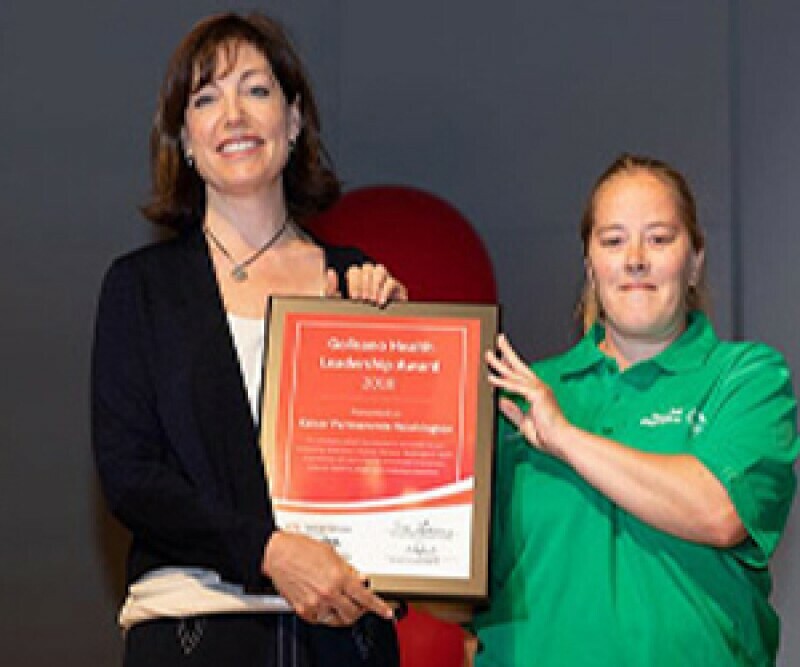 They have allowed SOCO to expand the Healthy Athletes® program across the state, have increased access quality follow-up health care and overall have worked to advance the health rights of Special Olympic athletes and people with ID. Through Comfort Dental’s reach (approximately 89 offices across the state of Colorado), they have been able to help expand clinical volunteer numbers and have enabled SOCO to conduct Special Smiles screenings during times when most other volunteers would not be able to assist. This opportunity helps SOCO reach more athletes than ever before. Comfort Dental provides in-kind donations of toothpaste and toothbrushes as well as guest appearances by Toothy and the Tooth Fairy which help create a more comfortable, calming and fun screening environment for our athletes. Comfort Dental also donates Rockies baseball tickets each year, which SOCO is able to use as a huge incentive for athletes to attend Healthy Athletes at Summer Games. SOCO athletes are then recognized during this particular game during a pre-game parade. Without their assistance, our Special Smiles program would not be where it is today. Carol Dahlke: Carol has been involved since 1997 with Special Olympics Minnesota, serving as a clinical director and coach. 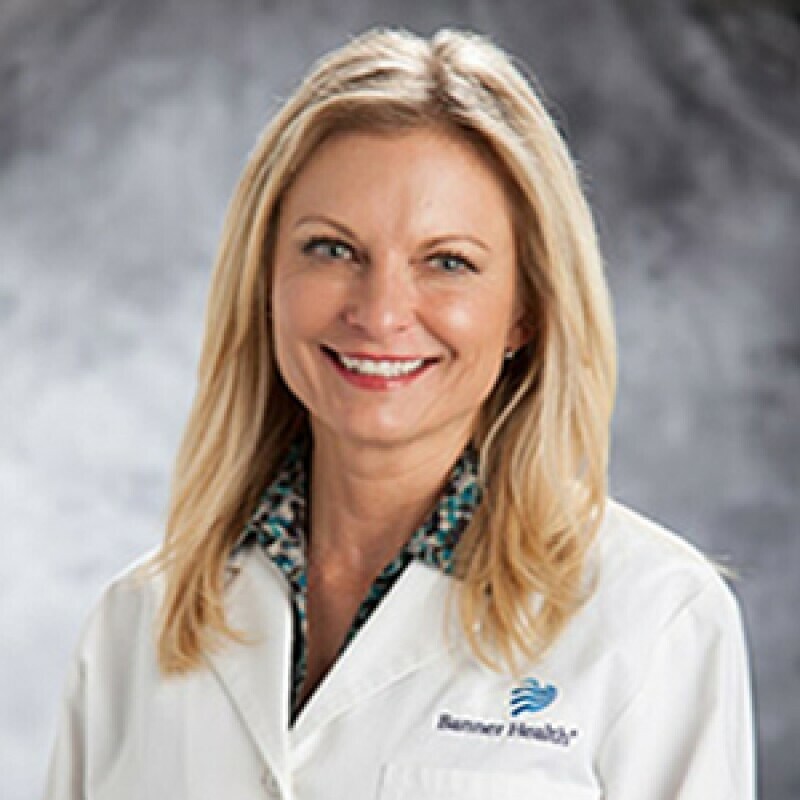 She established and directs Special Smiles in Minnesota, a dental screening program for Special Olympics athletes, and has inspired dental, dental therapy, dental hygiene and dental assisting students along with practicing dentists to volunteer. She has had the privilege to travel to Japan and China with the Special Smiles program, as the only dental hygienist invited to those Special Olympic World Games. 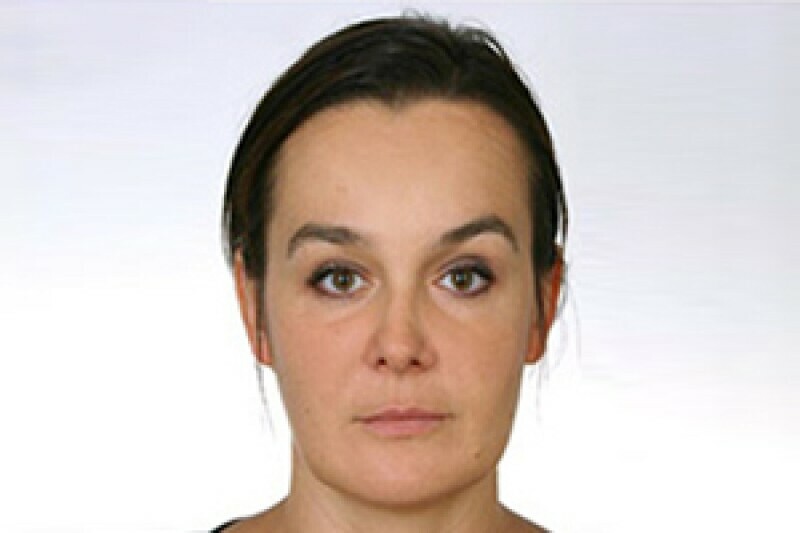 Dr. Sylvana Mifsud: Dr. Sylvana Mifsud graduated from the Faculty of Dental Surgery, University of Malta in 2007. Since then she has been employed within the Dental Department, Mater dei Hospital, Ministry for Health. As from 2011, Sylvana has managed and run the Special Needs Clinic within the Dental Department. Here she has provided comprehensive dental care to patients with intellectual, medical, physical and/or emotional disabilities both in the dental clinic setting and under General Anesthesia. This she has done with great professionalism and dedication towards the needs of the patients visiting this clinic. 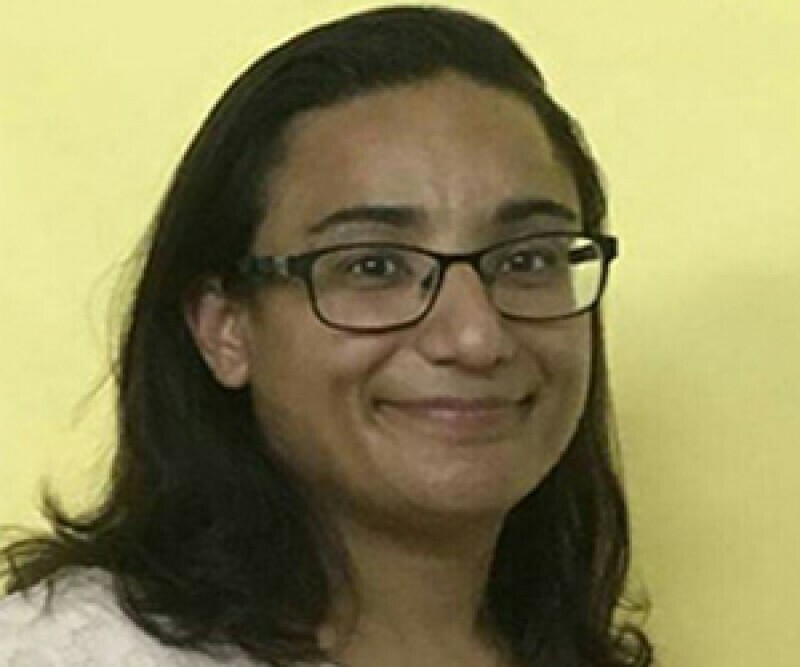 Sylvana also participates within the Faculty of Dental Surgery, University of Malta by teaching in the discipline of Special Care Dentistry and as a clinical demonstrator during Pediatric Dentistry Clinics. Sylvana’s humor together with her resolute though gentle disposition has earned her the admiration of her patients and their parents, students and that of her colleagues. She works relentlessly in the endeavor to better the oral health and general well-being of her patients with disability. Ms. G. A. Iwanka Yasadari Fonseka is the manager of English Nursing of Sri Lanka. She and her staff continuously volunteer with SO Serendib. She is in contact with the Government General Hospitals and other private hospitals and encourages doctors and other paramedics from those organizations to come forward to work for SO athletes. She also refers athletes to ENT, Ophthalmic, and dental services to get proper quality treatment and follow-ups. Because of Fonseka’s involvement, SO Serendib athletes acquire regular treatment and follow-ups and these athletes have not received any medical treatment before they joined. Dr. Andrew Ame: Dr. Andrew Ame has gone above and beyond to ensure athletes in Papua New Guinea are able to access health services at the Port Moresby General Hospital. He has trained his staff to learn how to appropriately treat patients with intellectual disabilities. 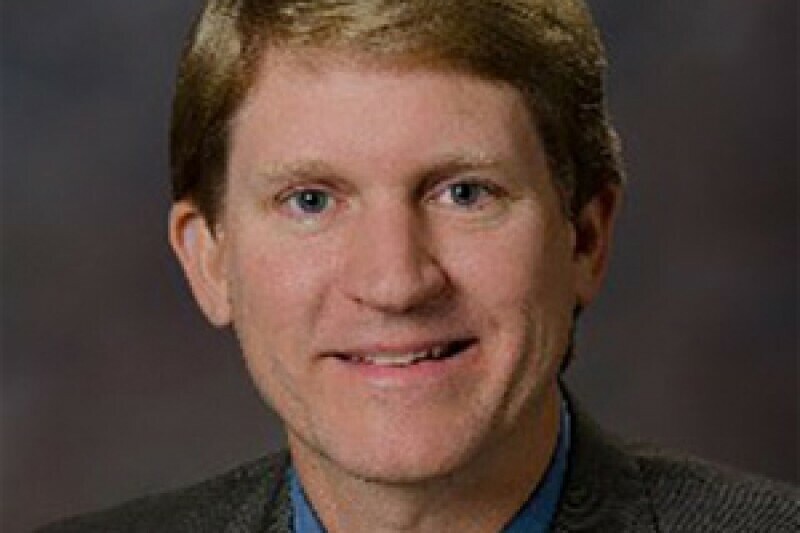 Dr. Erick Hartman: Since early 2002, Dr. Hartman has been the Washington State Clinical Director for the Special Olympics Lions Clubs International Opening Eyes screening program. For 15 years his wife, Tracie, and he organized the vision screening program for Special Olympics athletes attending the Washington State Summer Games at Joint Base Lewis-McChord. Along with students from Pacific University College of Optometry, local Lions Club members and local optometrists, they established a screening program that provided new eyeglasses for many of you athletes the same day as the screening! Over the years the screening has provided vision care services to more than 3000 athletes in Washington State. Kaiser Permanente: Kaiser Clinical Directors helped to plan the Healthy Athletes screenings at USA Games, and had a weeklong presence during the screening. Kaiser’s support and time was incredible throughout the Games and greatly helped to make the screenings a success. Kaiser has gone above and beyond for SO Washington, as well. In addition to the Kaiser Clinical Directors, there is always a strong showing of Kaiser volunteers at SOWA’s Healthy Athletes screenings. Kaiser has provided water bottles as a Health Promotion giveaway, and is providing giveaways for all athletes that participate in Healthy Athletes at SOWA’s Summer Games. Kaiser has donated stadiometers, blood pressure machines, and a wheel chair scale for our Healthy Athletes program, as well. Kaiser Permanente volunteers have been essential to tracking Team Washington’s health metrics leading up to USA Games. Kaiser also gave SOWA the venue space to collect those health metrics. Kaiser’s support has made it possible for athletes to see the progress they make when participating in Fit 5, and it also led to more data for SOWA to continue its programming. It’s also important to note that Kaiser has played a tremendous role in motivating Washington athletes to be healthy and fit. The dedication and excitement of the volunteers, the incentives, and has boosted excitement around SOWA’s health initiatives and shown athletes that being healthy can be fun, too. 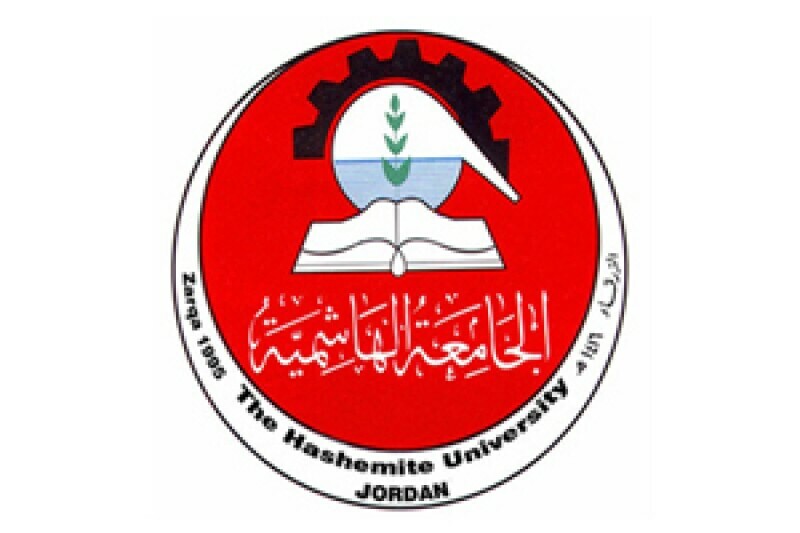 Professor Kamal Bani-Hani - President of Hashemite University: The Hashemite University is one of Jordan’s official universities and is characterized by its cooperation with Special Olympics Jordan through the sports, educational and medical colleges. 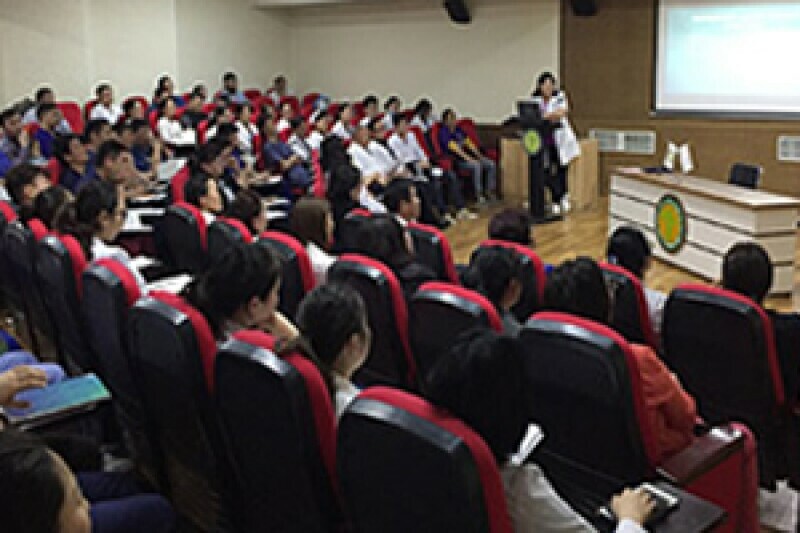 The first conference was held under the title of Healthy Community awareness to the university staff and around 100 students. SOJ attracts a large number of university students as volunteers too. The university is also in coordination to add a specific module in their next year’s curriculum about Healthy Communities, how to deal with people with ID. All of the above was with the support and empowerment and approval from the President of the university who is Professor Kamal Bani Hani. 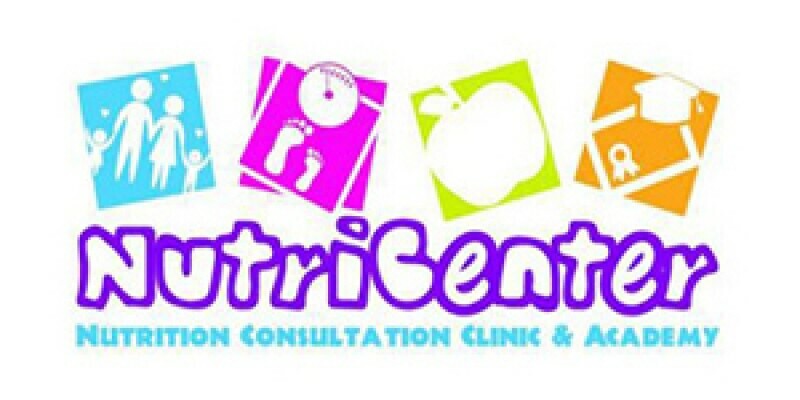 Nutri Center: Nutri Center is a center that specializes in providing health and nutrition programs in Amman. It is a private center and has been partnering with the Center to provide free services for Special Olympics athletes as well as lectures for families on nutrition and healthy and control of obesity and health and fitness within the community health program. 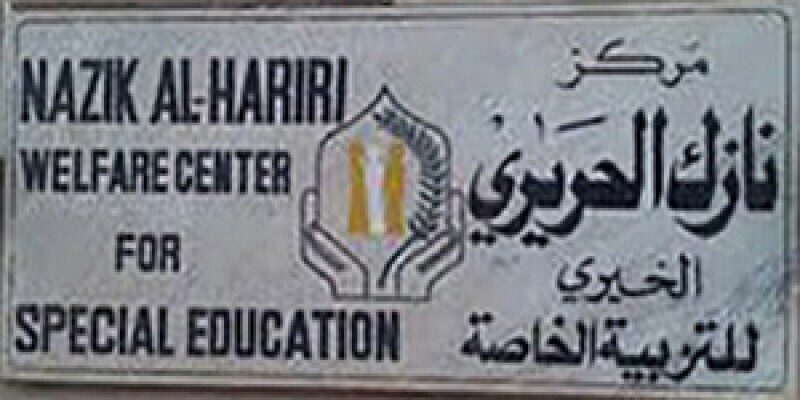 The Center also offers lectures to university students and special education centers. Nazik Al-Hariri Welfare Center for Special Education: Nazik Al Hariri Center is open to Special Olympics Jordan Healthy Communities workers to use for their meeting and conferences. Awareness meetings for families, fitness sessions for athletes, and Healthy Athletes screening events are all held at the Center. SOS Medecin: SOS Medecin is a medical emergency and resuscitation, transportation and evacuation facility. 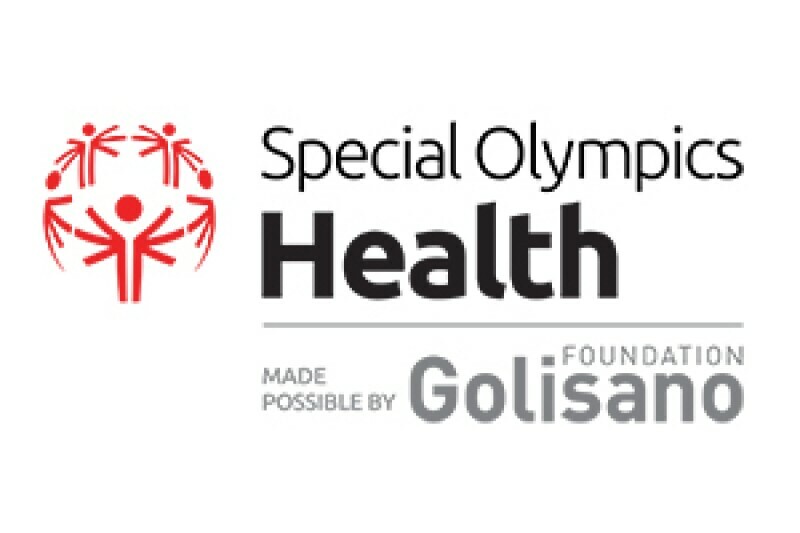 SOS Medecin is Special Olympics Senegal’s leading partner for Healthy Athletes screenings. SOS Medecin’s clinicians volunteer as Clinical Volunteers for all Healthy Athletes campaigns. SO Medecin’s clinicians manage Healthy Athletes logistics like preparing medical kits, buying equipment, and securing volunteers. The organizations also trains coaches, athletes, and parents about vaccinations, malaria, and how to use first aid kits. 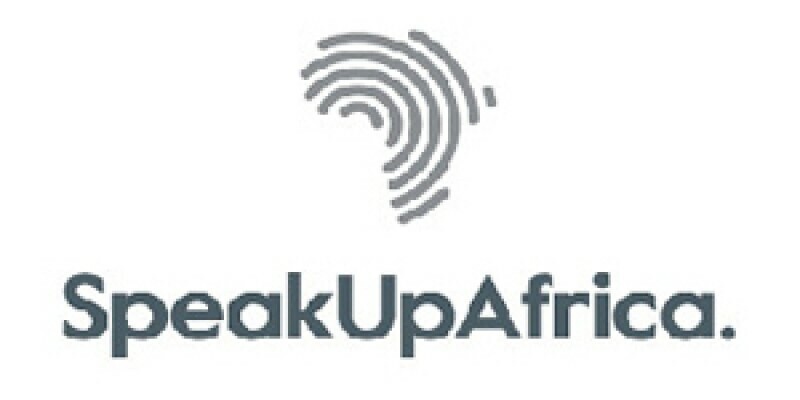 Speak up Africa: Speak up Africa is a non-profit organization for communication and advocacy related to public health in Africa. Special Olympics Senegal entered into partnership with Speak Up Africa, in 2014. Speak Up Africa supports the Lilongwe Declaration on Intellectual Disability, adding their voice to a growing number of organizations in Africa committed to improving the lives of individuals with intellectual disabilities on the continent. 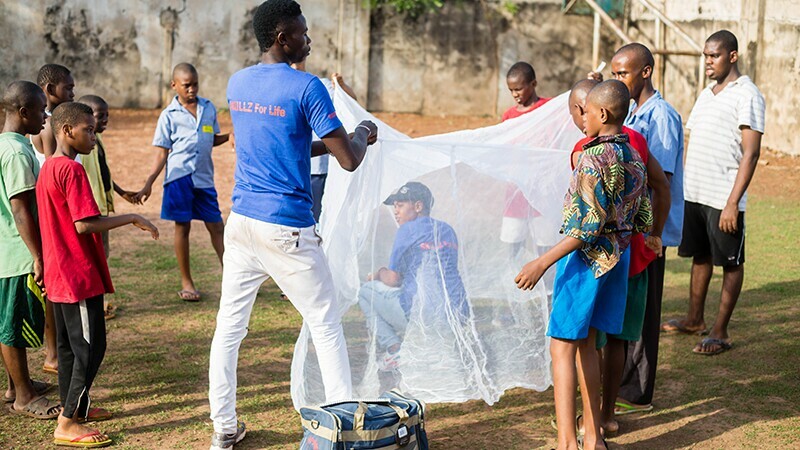 In the framework of the fight against malaria, in partnership with WARI, 900 mosquito nets were offered to and distributed to local athletes and their families. Speak Up Africa has an advocacy program against malaria and for vaccination. Special Olympics Sénégal has also a program against malaria and for vaccination. Within this partnership, several activities were carried out together: distribution of mosquitoes nets, printing of booklets on malaria, printing of booklets on vaccination. Speak Up Africa also assists with training on menstrual hygiene. Docteur Mohamadou Boli: Docteur Mohamadou Boli has been Special Olympics Senegal’s Special Smiles Clinical Director since 2009. Since this date, Boli has been engaged with Special Olympics Senegal participating in all Special Smiles screenings. He also dedicates his time and ensure athletes receive free treatment if additional care is needed after screenings. 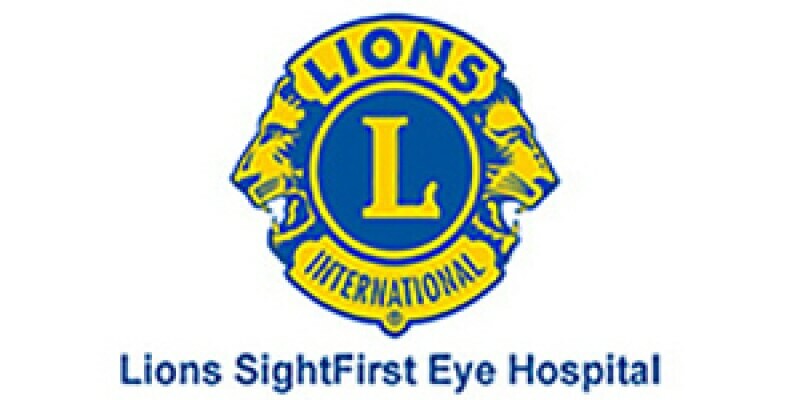 Lions Sight First Eye Hospital: The Lions Sight First Eye Hospital has made significant impact for follow up care for Special Olympics Kenya athletes. In the past 5 years the hospital has donated more than 1000 spectacles, conducted more than 15 surgeries for free to Special Olympics Kenya athletes. Besides the hospital donates a minimum of 5 Opening Eyes Specialists to assist with screening in all the Healthy Athlete Screening events. In addition to spectacles and surgeries the hospital dispenses drugs and conducts regular review sessions for athletes referred in the premises. This year the hospital has expanded its service delivery to include Healthy Hearing and Special Smiles in addition to Opening eyes. In the past 5 years the hospital has donated more than 1000 spectacles, conducted more than 15 surgeries for free to Special Olympics Kenya athletes. Besides the hospital has had one trained Opening Eyes Clinical Director who facilitates seamless service delivery when athletes attend the follow up care sessions. Close to 4000 Special Olympics Kenya athletes have directed benefited from the hospital, through Healthy Athlete Screening and thousands more have benefited indirectly through the Family Health Forums where Lions members provide health education to the families and older athletes. Dr. Joanne Reid: Dr. Joanne Reid, a born islander, completed her undergrad in sciences at Acadia University, completed medical studies at Dalhousie University in 2014 and followed-up with her Family Medicine Residency at Dalhousie University. Dr. Reid is Special Olympics Prince Edward Island’s Healthy Athletes Champion and has been since the program started in 2015. Without her leadership and determination, SO PEI may not be in the place we are today with Health program in PEI. It was perfect timing really, Joanne was doing her residency with a clinic in Charlottetown and the Program Director for SOPEI knew the physician she was working with at the time. After just one meeting, she had a heart to help our athletes by assisting with the planning of the very first Medfest event in Canada! This little, yet mighty province, would continue to build on the first event in 2015 to offer more and more screenings; and now is working on its Healthy Communities status. 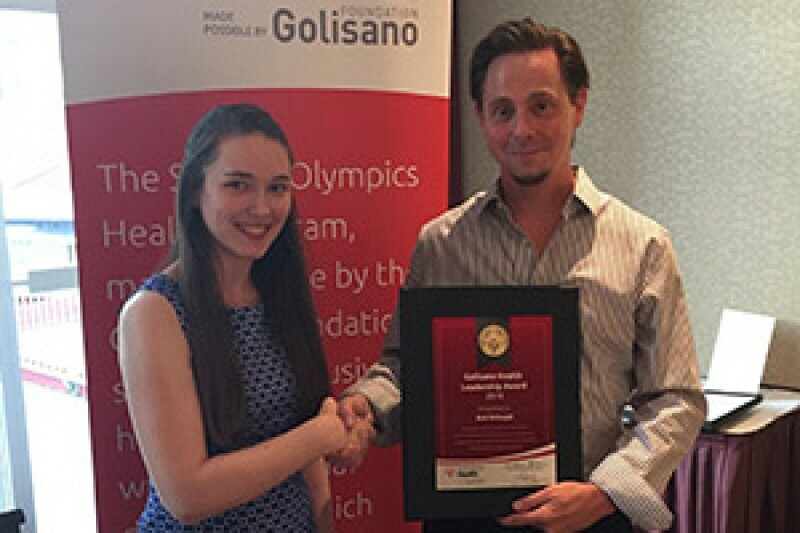 Joanne also represented this province and our country well at the 2015 World Summer Games in Los Angeles as a HA Medfest Volunteer. 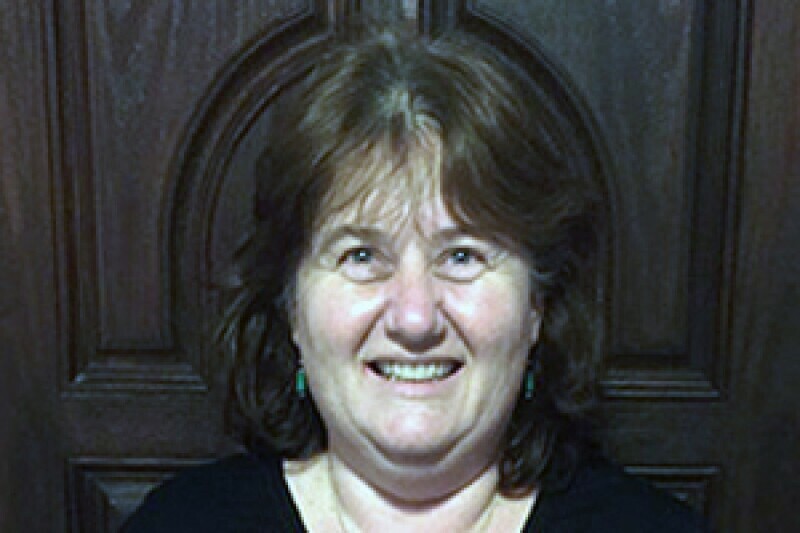 Lynda McGivney-Nolan: Lynda is a practicing optometrist, optometrist advisor and spokesperson for the Association of Optometrists Ireland, the professional representative body. Although she practices in all areas of optometry, she has a special interest in working with adults and children with intellectual disability and all types of learning difficulties. As Clinical Director for Opening Eyes, Lynda trained in Alaska in 2001 at the World Winter Games. This was in the very early days of the Special Olympics Healthy Athletes Program. Lynda has been a Clinical Director of the Opening Eyes Program since 2000, and has run several Opening Eyes Events at National Games, including the 2003 World Games where she oversaw in excess of 1,000 athletes who passed through our Opening eyes Program in one week! KARE: KARE was established in 1967 by parents and friends of children with an intellectual disability. They provide opportunities to be involved in sport through their organizational programs. They also support their athletes to become a part of Special Olympics Ireland Community Clubs and have always valued and understood the far reaching benefits of exercise and health programs for their services users and Special Olympics athletes and they are uniquely placed to create a supportive environment to enhance positive lifestyle choices. KARE with support from Special Olympics Ireland (through the Special Olympics Ireland Health Promotion Program and the Fit 5 resources) have developed the Healthy4LIVING program for their service users and have incorporated a lot of these health benefits. 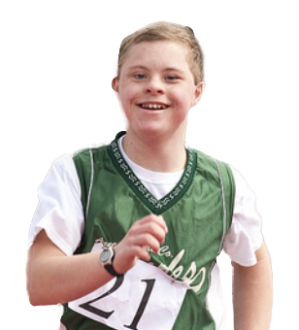 Healthy4Living program provides Special Olympics Athletes and KARE service users with accessible information to support positive health behaviors within a supportive environment. Through their organizational project “Supporting Healthy Lives” they have also now developed an online resource library and information website that is accessible to all staff and service users. 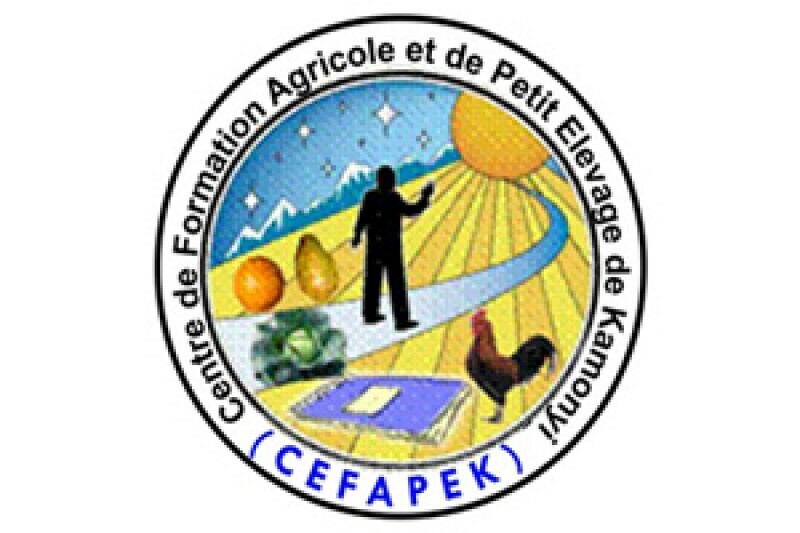 The Centre de Formation Agricole et de Petit Elevage de Kamonyi (CEFAPEK): CEFAPEK provides transportation for all athletes to Healthy Athletes screenings. They also provide trained volunteers who conduct training about nutrition, sanitation, and health living. CEFAPEK coordinates with local health care providers to get follow-up care for local athletes. The nominee provided transport means of all athletes from their centers to the screening event by the time the program carried out HA events. CEFAPEK also heads walking clubs with coaches trained by Special Olympics Rwanda. These clubs carry out sports activities on a weekly basis. The aim is to improve fitness wellness among children and adults with intellectual disabilities. Centro Médico ABC, Campus Santa Fe: The Centro Médico ABC, Campus Santa Fe has doctors that are clinical volunteers for Special Olympics Mexico. These doctors provide materials for the Healthy Athletes events. They hold health forums with specialists to address health topics with families and athletes. Widex Macau Hearing and Speech Centre: Since 2008, the Widex Macau Hearing and Speech Centre has worked with Special Olympics Macau conducting hearing tests for Special Olympics athletes. Starting in 2014, the Widex Centre provides hearing follow-up medical visits. The SOM athletes have been provided with a 20% off for all of their medical services the. In 2009, the Widex Macau Hearing and Speech Centre generously gave out 3 pairs of free-of-charge hearing aids to our athletes in order for them to restart the connection with the outside world! The 3 lucky SOM athletes can now enjoy listening to the world's wonderful sounds & improving their living standard and social life. In addition to assisting the Special Olympics Macau athletes in terms of professional skills, the Director, Virginia Kong of the Widex Macau Hearing and Speech Centre has always generously donated a number of household items to our SOM athletes in needs. Her action, love & care to our SOM athletes have greatly committed to improving the quality of life for them in various ways. In 2015, Gloria Si, an audiologist at the Widex Macau Hearing and Speech Centre took the training in TTT in the United States. She is currently the person in charge of the Healthy Hearing Program. 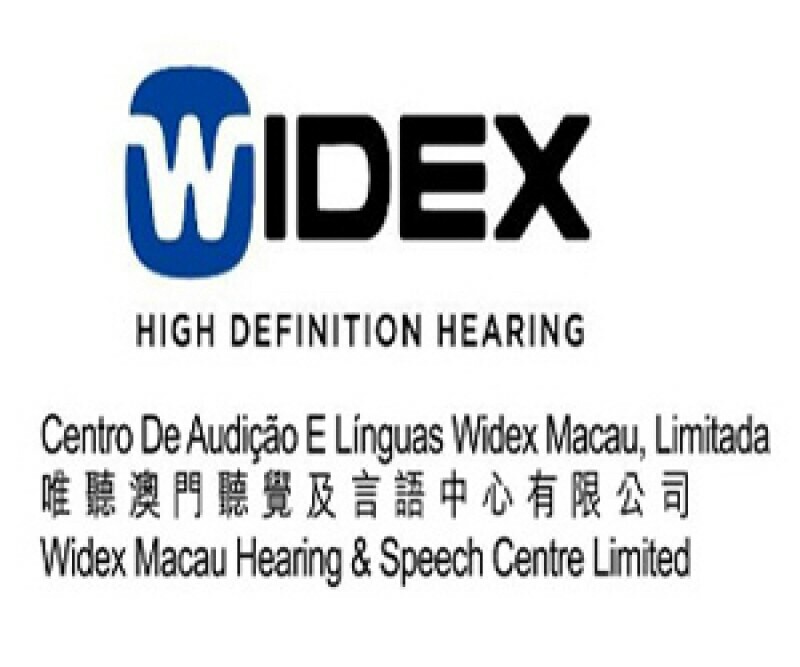 Widex Macau Hearing and Speech Centre is committed to promote the development of Healthy Hearing for our Special Olympics Macau. We Care Dental Center: We Care Dental Center, began to join Special Olympics Macau events in 2005. 60 SO Macau athletes have been treated and benefitted from We Care Dental Center’s treatments as preventive dentistry, dental fillings, dental implants, extractions and more. With We Care Dental Center’s generous offer for discounted services, it is undoubtedly a financial relief for the parents of our SOM athletes. Most importantly, the friendly approach of the dentists in the We Care Dental Center is the most appreciated by our SOM athletes. We always have difficulty to deal with the fear of our athletes from the sounds of the dental equipment & relaxing themselves well for dental examinations and treatments. Yuri Javier Cruz Cerna: Yuri Javier Cruz Cerna is a licensed physical therapist who dedicates his free time to help Special Olympics athletes reach their full potential. Yuri has supported follow-up care free of charge to Nicaragua athletes, providing a safe and welcoming place to receive treatment. 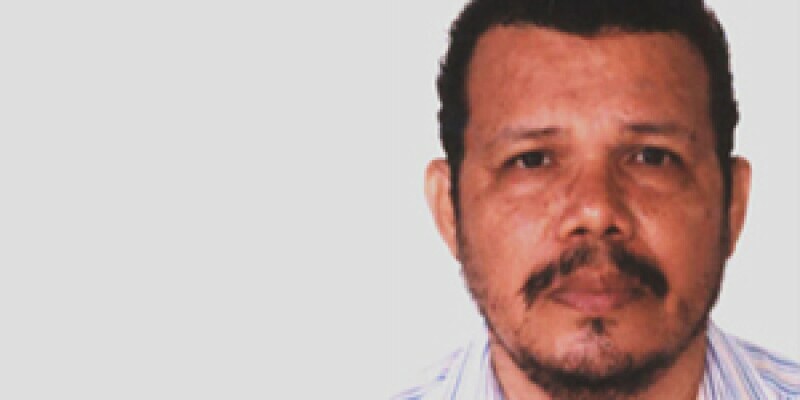 Marlon Alberto Torres Aragon: Marlon is an architect that has also worked with Special Olympics Nicaragua for the past 3 years. He works to ensure SO Nicaragua has buildings for meetings, fields to play sports in, and hospitality places for our athletes to stay, all free of charge to Special Olympics and the athletes. 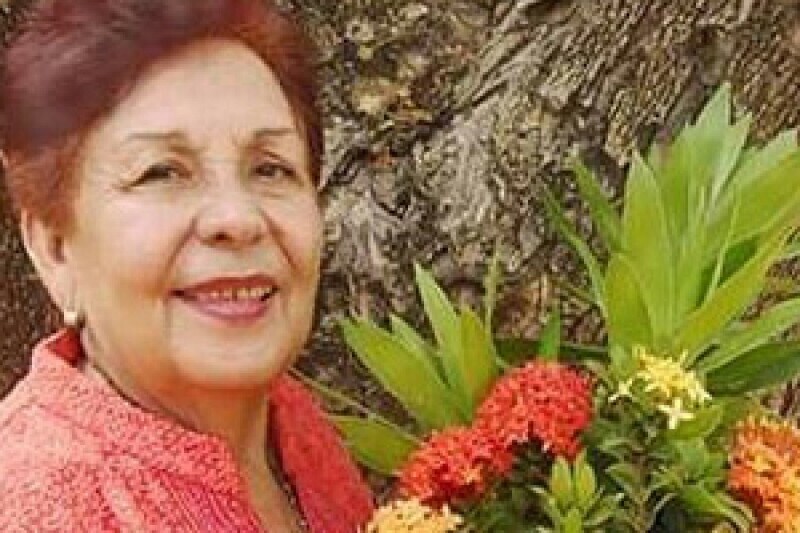 Doctor Virginia Rosales: Doctor Virginia Rosales is a volunteer medical physiatrist. She’s one of the most active clinical directors in Special Olympics Guatemala. She has made significant contributions to the program since she started volunteering with SO Guatemala. She provides follow up care and treatment to athletes whenever necessary. She has a team of health professionals and providers that she works with. She is an inspiration for other health providers committed to creating healthy communities. 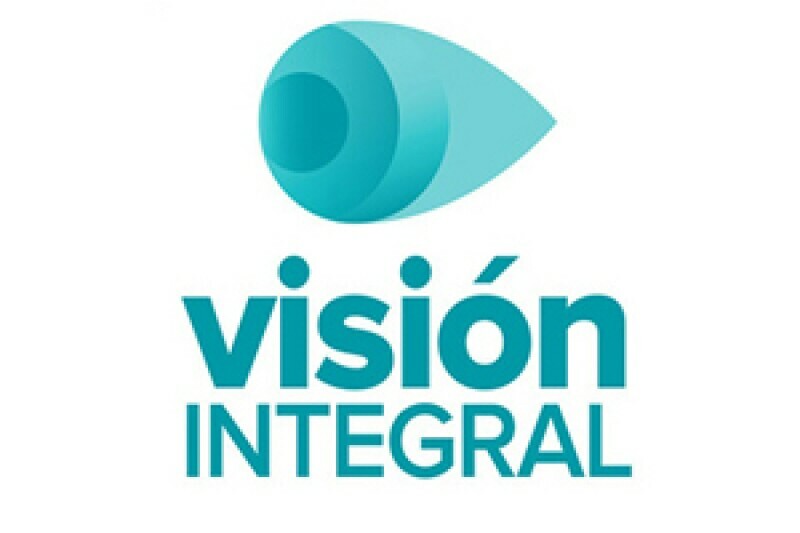 Visión Integral Clinic: Visión Integral is a clinic that provides ophthalmological services, for over twenty-five years. They have a highly qualified ophthalmological team graduated from local and international universities, and several years of medical and surgical experience. One of the doctors is the clinical director of Fit Feet. He has worked to involve more professionals to work with persons with intellectual disabilities. The institution offers attention of ophthalmological follow-up to our athletes with lower prices, and also encourages families to bring their children for follow up and treatment if needed. WE Telecom Egypt: WE is one of the main sponsors to SO Egypt and they are the potential sponsor that may continue to support the health work in the program after the grant ends as they are very interested in our health initiatives and outcomes. In the past nine months, WE has supported Healthy Communities follow-up care for 12 optometry and dentistry operations. WE covered the fees that athletes could not cover themselves. Dar Eloyoun – Eye Hospital: Dar El Oyoun Eye Hospital has supported SO Egypt during all Healthy Athletes events and follow-up care proceures. The hospital supports by donating equipment used in Healthy Athletes screenings, providing volunteers and follow-up operations. 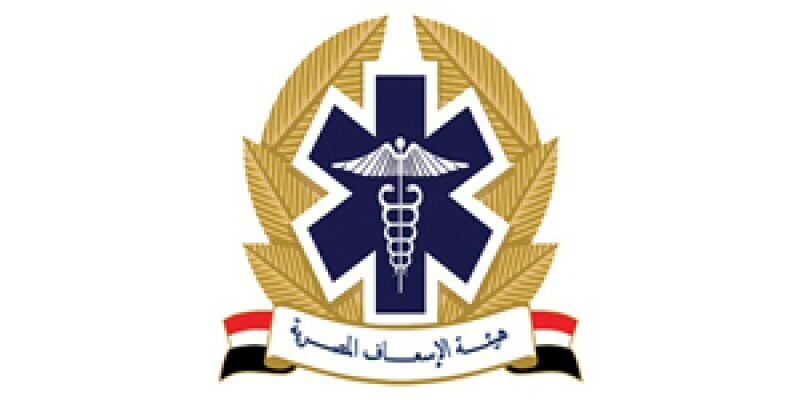 Egyptian Ambulance Organization: The Egyptian Ambulance Organization supports SO Egypt by providing awareness sessions to coaches and family members. They also provide ambulatory care for athletes who need sudden follow-up care during competitions or health screenings. Dr. Hoang Van Quyen: Dr. Quyen helps recruit doctors to screen athletes at Healthy Athletes events. Many doctors provided free service or slashed their prices for screening athletes. Dr. Quyen connected medical devices companies with SO Vietnam to provide free equipment for hearing tests. Dr. Quyen also provides free consultancy for follow-up care and connected the athletes with medical device company for additional tests. Dr. Quyen is an expert in speech therapy which requires a good amount of time for screening and consulting. Due to the time constraint at hospital screening, athletes receive very short and brief consultation. Dr. Quyen has contributed a lot of time for Special Olympics athletes to provide details consultation which is 4 to 10 times more than hospital session. Athlete families received detailed instruction and support. 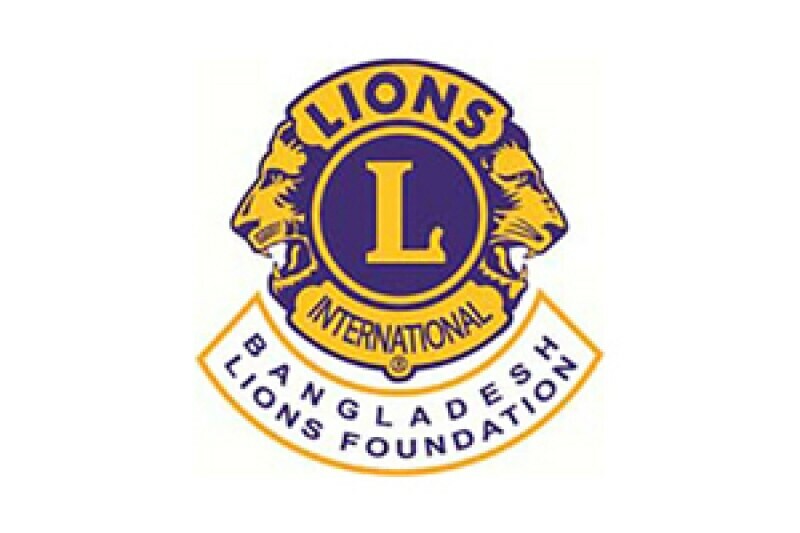 Bangladesh Lions Foundation: As a partner of Special Olympics Bangladesh, Bangladesh Lions Foundation implements a majority of Opening Eyes Screening annually and provides clinical professionals and equipment to assist in the implementation of the screenings. BLF allows utilizing existing infrastructure to provide high quality services and facilities for the Opening Eyes Program and engage the participation of Lions Club volunteers to support the local implementation of the Opening Eyes Program. 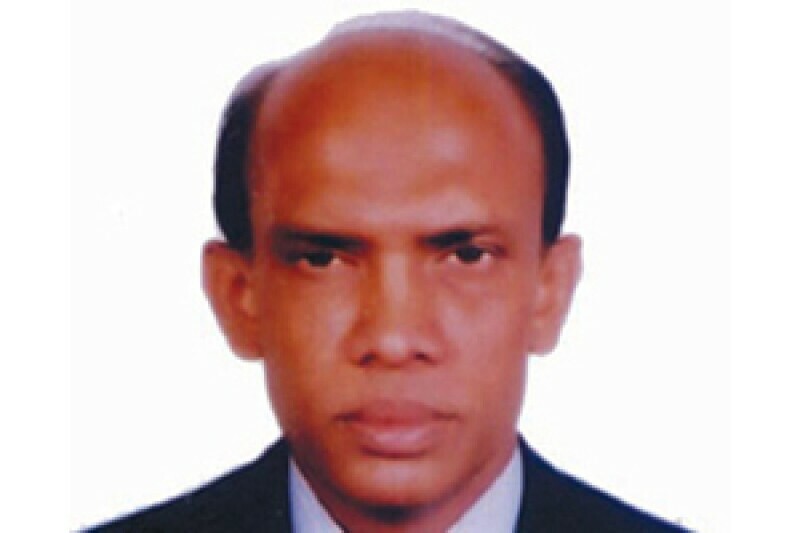 Dr. Shahidul Haque: Dr. Haque is currently, Associate Professor and in-Charge of Cornea Clinic, Heading Surgical Unit-II, Coordinator for CME Scientific Program and Coordinator of Eye Camp: Lions Eye Institute & Hospital. Joined at Lions Eye Hospital on 1st August 1996. Dr. Haque works as a Volunteer Clinical Director of Special Olympics Bangladesh and oversees the Opening Eyes Program of SO Bangladesh in collaboration with Bangladesh Lions Foundation. 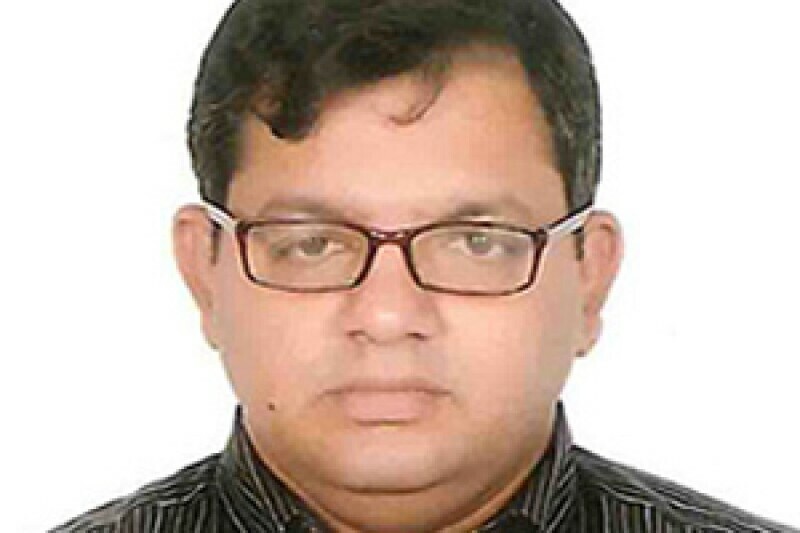 Dr. Mohammad Hafizur Rahman: Mohammad is currently working as Assistant Professor, Medicine in a Government Medical College and Hospital as an Internist and Cardiologist. He also works as a Clinical Director, for the Healthy Athletes MedFest Program with Special Olympics Bangladesh. Mohammad has trained many volunteers, paramedics, physicians and family members to detect medical problems early so that it could be handled properly. He has also aranged seminars, symposium and workshops by expert Neurologist, Psychiatrist, Physiatrist, Dental Surgeon and Community leaders for better understanding of the health needs of these athletes. In collaboration with different health centers in Bangladesh, every health related problems were properly addressed in athletes’ friendly environments. 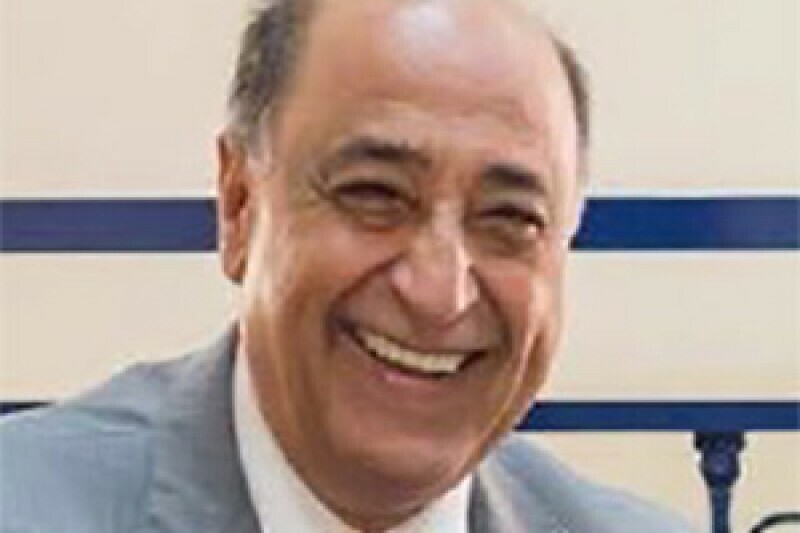 Dr. Saiid Mekkawi: Saida Orphange institution: The Orphan Welfare Society OWS cares for 500 children with special needs in Lebanon. OWS’ vision is a world where every child enjoys the most nurturing childhood environment possible that fosters the growth of an active, empowered and productive adult who can achieve his or her optimum potential as a citizen and a human being. Since 1998, the organization has collaborated with Special Olympics Lebanon and became their sub-program in South Lebanon. Their main focus was to develop the athletic skills of local children and train them to join sports tournaments and games inside the country and abroad. Based on this partnership with Special Olympics Lebanon, OWS hosted National Games in its premises whereby children with intellectual disabilities competed, representing different associations in Lebanon. In addition, OWS lead Healthy Athletes disciplines. Mr. Louis Daniel Baptiste: Mr. Baptiste, is the Commissioner of Social Security in Rodrigues Island in Mauritius. He is the one whom we liaise first and he does all the necessary arrangement for our activities. With regard to our Healthy Community Project, he is our facilitator. He assists us in various ways. First of all, when we were launching the project in Rodrigues Island, he provided the program with a small office, which belongs to the Rodrigues Regional Assembly, free of charge. The Office helps the Sub-program to coordinates all the activities. He is the gentleman who has been involved in all the activities. He arranged for venues, transports, paramedical staff from Commission of Health, catering and so on in the activities related to Healthy Community Project via Family Health Forums, HAS, follow up treatment at hospitals and fitness sessions. Without his help, the sub-program could not sustain. Jordan Valley Community Health Center: Jordan Valley Community Health Center has been a partner of Special Olympics Missouri’s State Summer Games for the past three years. 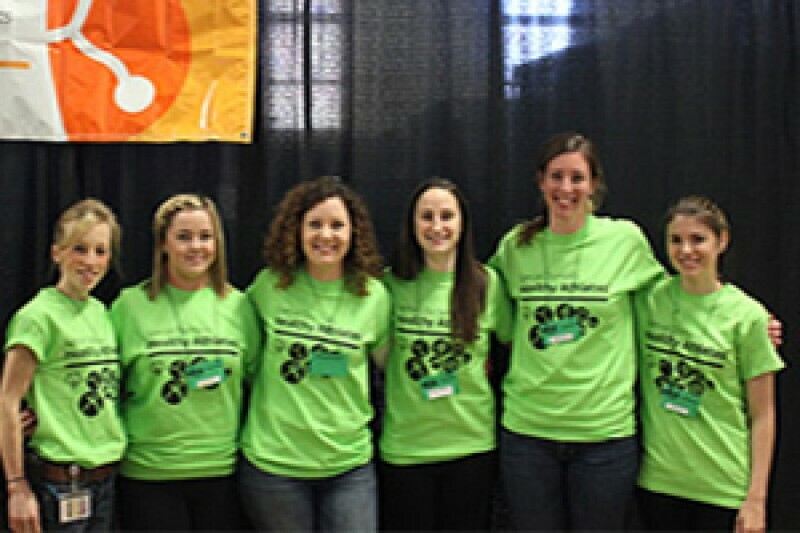 The Health Center staff volunteers at all Healthy Athletes events. They are prime examples of how health care professionals can serve a community and help those in need. 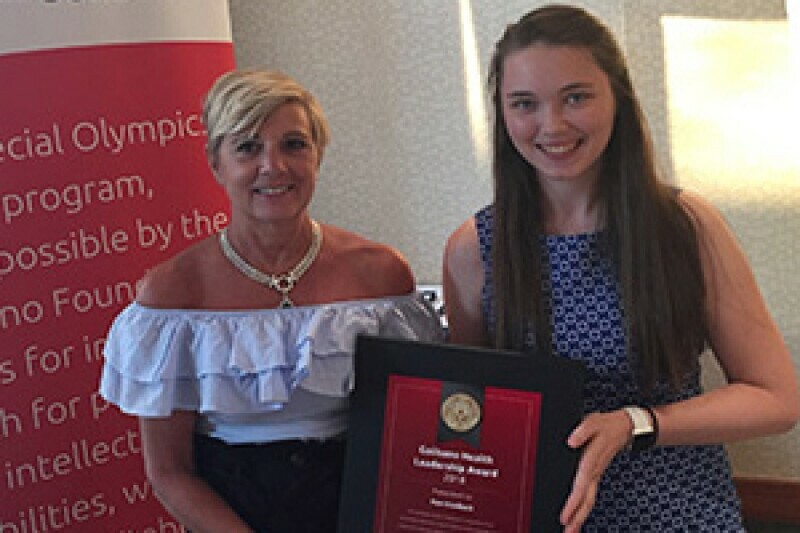 RWJBarnabas Health: RWJBarnabas Health has been critical in the growth of Special Olympics New Jersey's health programming over the past three years. At every MedFest event SONJ hosts, sometimes up to ten a year, RWJBarnabas Health has several members of their community volunteer their time to screen SONJ athletes. These individuals are oriented by SONJ's Clinical Director and participate in screening athletes' vision, height, weight, etc. Additionally, RWJBarnabas Health has a large volunteer presence every year at Healthy athletes during SONJ's Summer Games. RWJBarnabas Health has ten Fitness Centers across the state that offer significant discounts to SONJ athletes and their families. These states of the art facilities are available to all SONJ athletes for only $50 a month. Furthermore, staff members from the centers have volunteered their time to promote fitness to SONJ athletes at competition events, such as a Zumba instructor leading all athletes in a pre-competition warm-up at SONJ's Fall Games. Mc Gill Faculty of dentistry: Mc Gill, Faculty of Dentistry has been working with Olympiques Spéciaux Québec to offer its students two annual events focused on the oral health care approach for people with intellectual disabilities and special needs. This event allows the clientele to meet future dentists and young athletes to become aware of the importance of oral health. Faculté de médecine dentaire de l'Université Laval: The faculty of the dental university supported the Quebec City 2017 Games. A Special Smiles event was held that helped support the oral health of people living with intellectual disabilities. Optica Sosa y Arango: Optica Sosa y Arango is a highly competitive company within the optical industry in Panama that offers and delivers a high quality products and service to its customers a product. Optica Sosa y Arango has supported Special Olympics Panama in the ophthalmological evaluation of our athletes since 1993 in each of the health fairs that are held. Universidad Especializada de las Américas: The University provides innovative and necessary careers to strengthen the demands of professionals at all levels of health care; guaranteeing that from the first years of training their students participate in practical experiences that lead to the development of competencies required to successfully insert themselves in the work field. UDELAS has been working hand in hand with Special Olympics Panama to provide clinical volunteers since 1997. Fundación Oír es Vivir: Fundación Oír es Vivir is a team of professional women committed to contribute to a better Panama. They treat the hearing health of children and adults to guarantee a better quality of life. Their services range from the early detection of hearing losses, to rehabilitation and education, providing both patients and their families with due support and have been providing them to our athletes and families since 2017. Dr. Lara Mabry: Dr. Lara Mabry has been involved in Healthy Athletes since the 2001 World Winter Games in Alaska. 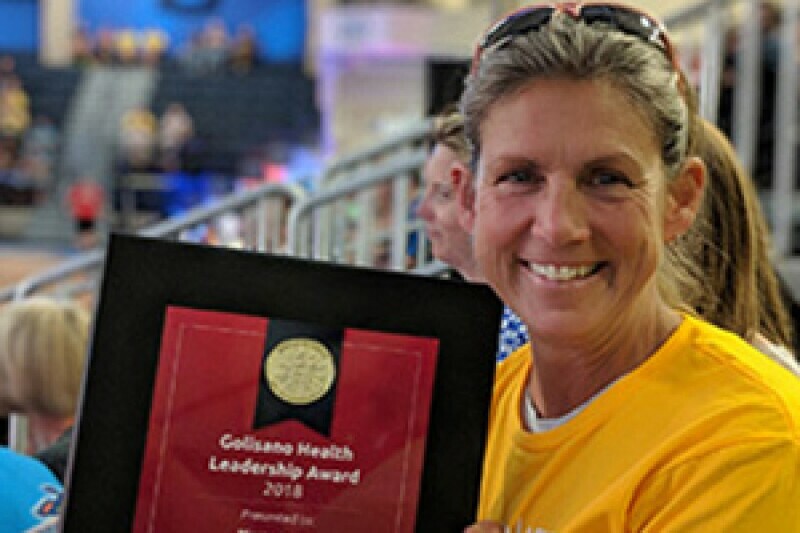 She has conducted Special Smiles in Alaska for over 17 years, volunteered at numerous World and USA Games, and has been instrumental in the growth of Healthy Athletes in Alaska. Dr. Mabry has also served on the Board of Directors for Special Olympics Alaska and has given countless hours of her time and resources to the program. Not only has Dr. Mabry conducted free dental screenings at Healthy Athletes events, she has also provided care to individuals with intellectual disabilities at her dental practice. She has also referred athletes to her colleagues who specialize in different areas of oral health care. Dr. Mabry has also reached out to her colleagues in the medical field and encouraged them to get involved. She has helped with recruiting volunteers to fill vacant Clinical Director positions. Through her enthusiasm for Special Olympics Alaska, new volunteers have joined the Unified Fit Club and attend cross training and wellness events at the Special Olympics Alaska Sports. Health and Wellness Center. 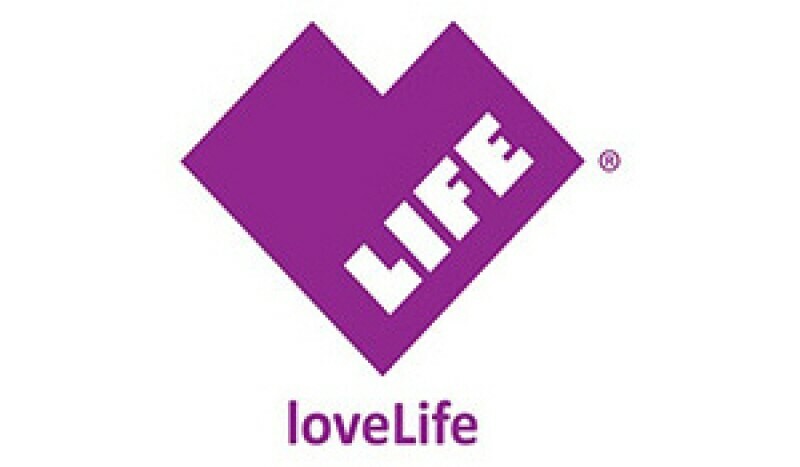 loveLife: loveLife continually contributes to Special Olympics South Africa’s Healthy Community program through the provision of their services to SO South Africa initiatives in the areas of HIV/AIDS counseling, nutrition, health and fitness education. These include the Skillz for Life Program which is an integrative curriculum dealing with sexual health, emotional wellness and fitness through physical activities such as playing soccer and games. They have participated in Family Health Forums as guest speakers as well as assisted with volunteer recruitment. Université de Montreal, Ecole d’optométrie: The School of Optometry has been engaged for several years in the success of Opening Eyes events. The university members donate their time and quality equipment.